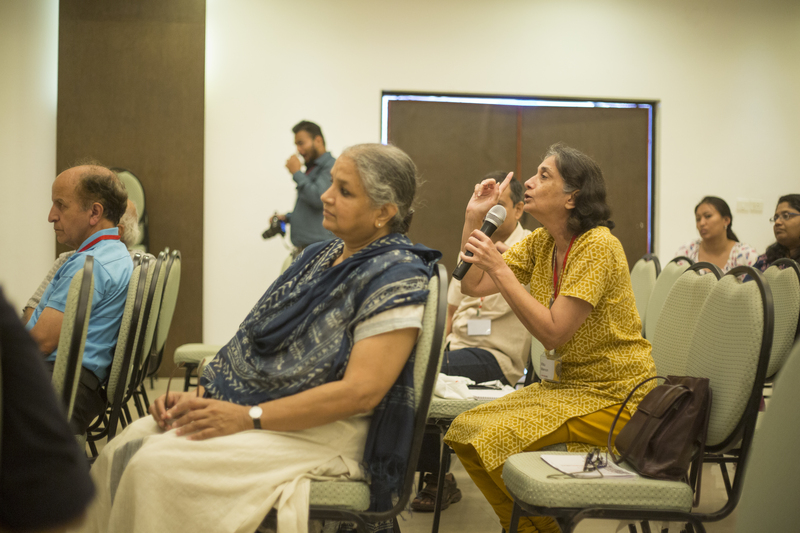 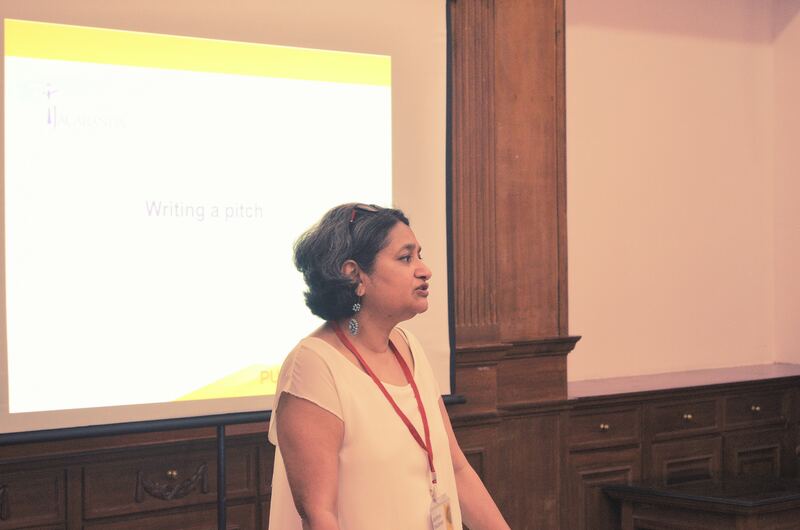 This masterclass, conducted by Ritu Menon, founder of Women Unlimited, an associate of Kali, spelt out the publishing process for the audience. 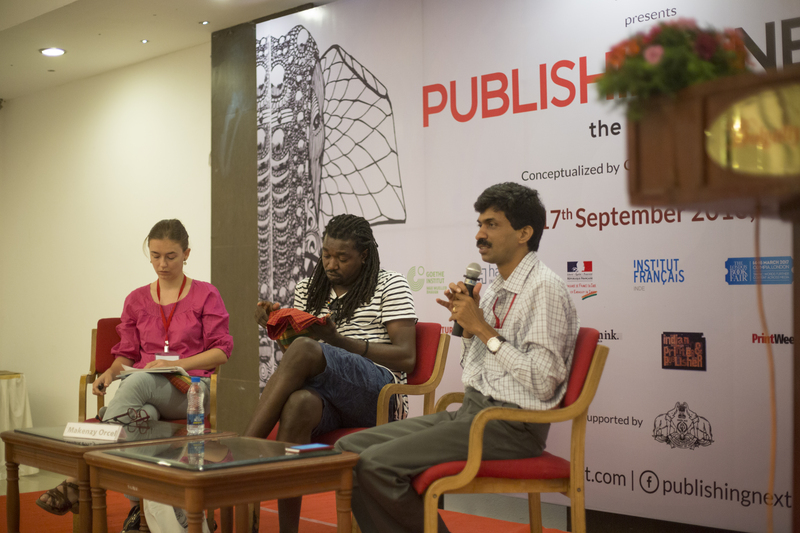 Different streams of publishing were discussed, as was the process involved in creating, marketing and selling a book. 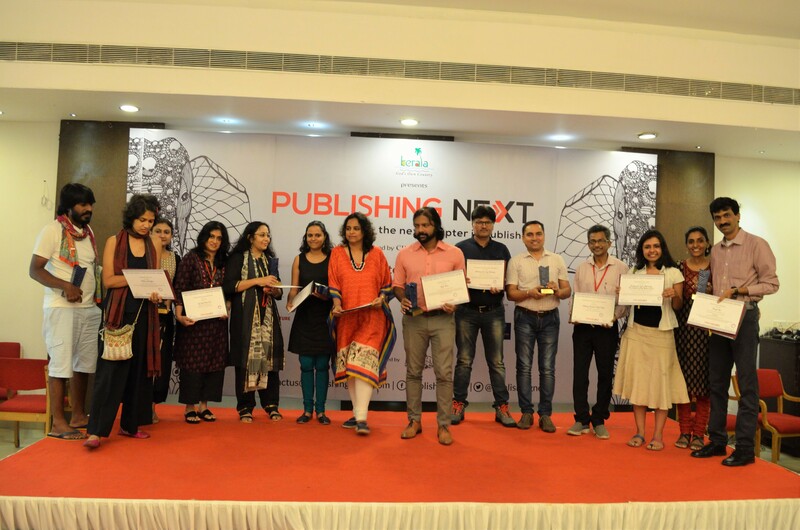 Master Class: After Writing, What Next? 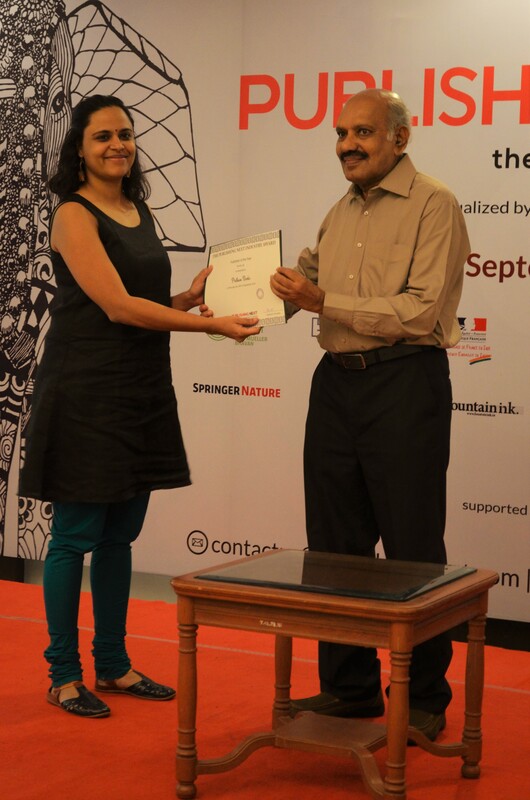 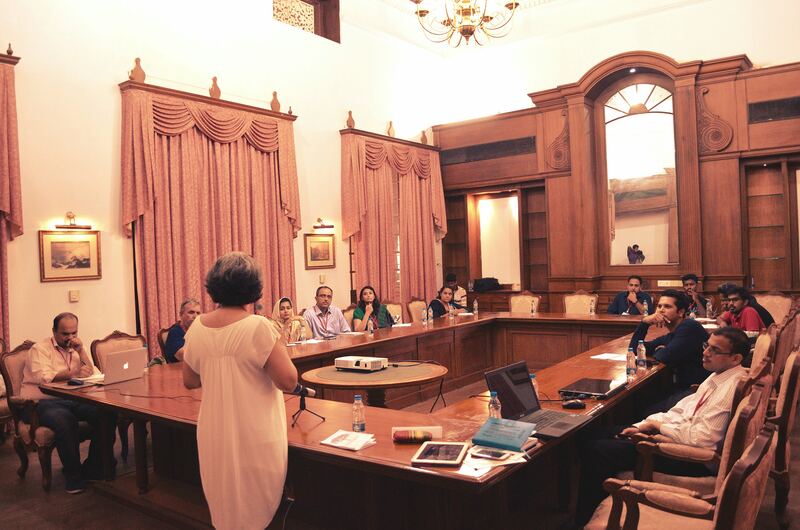 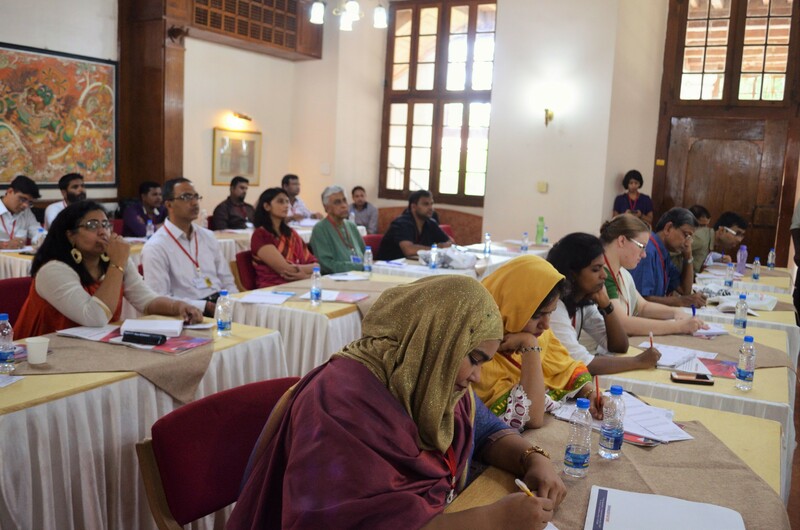 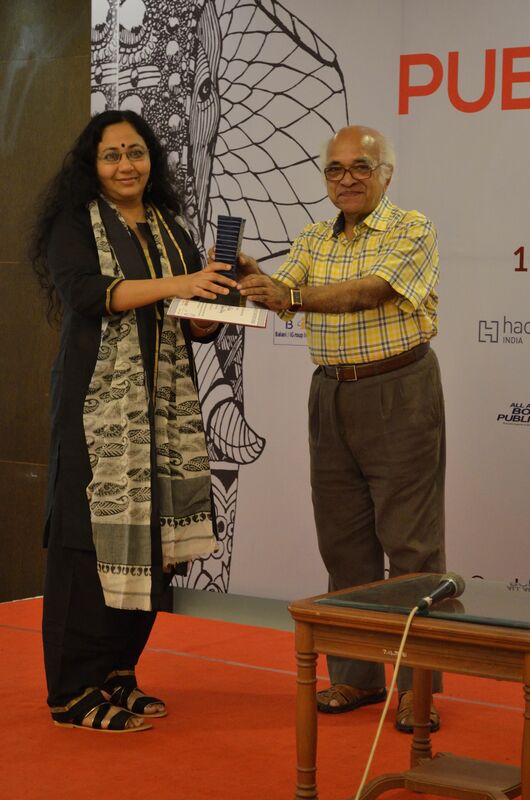 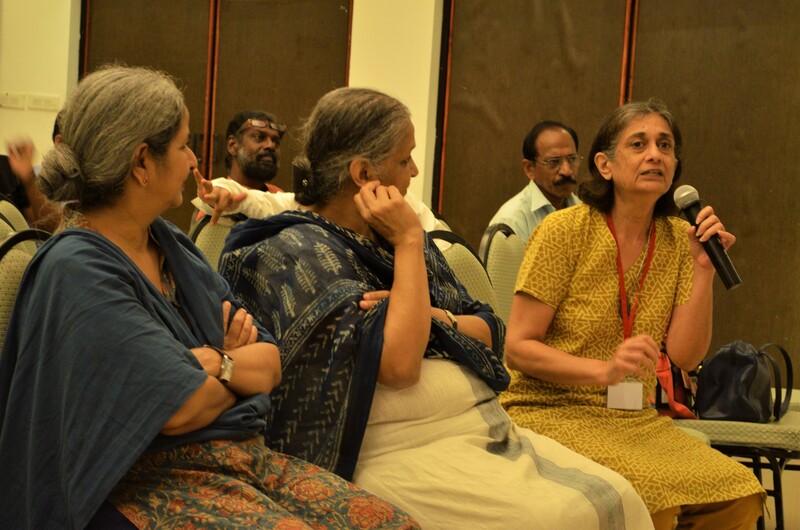 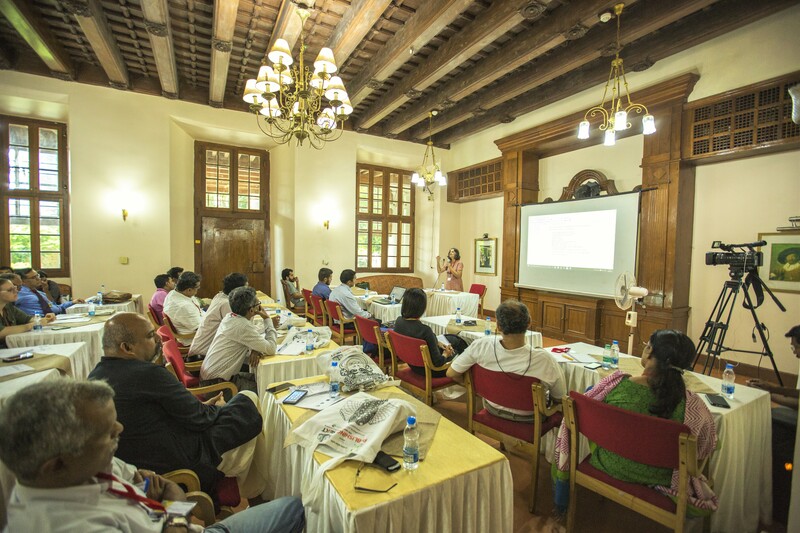 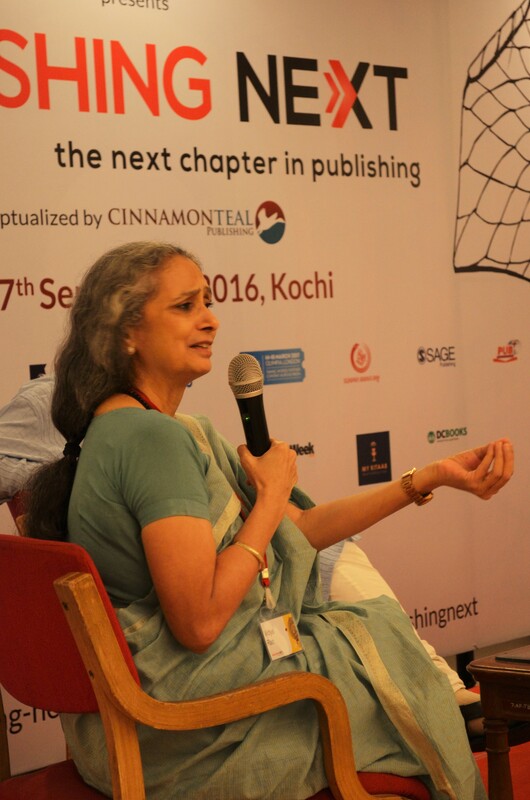 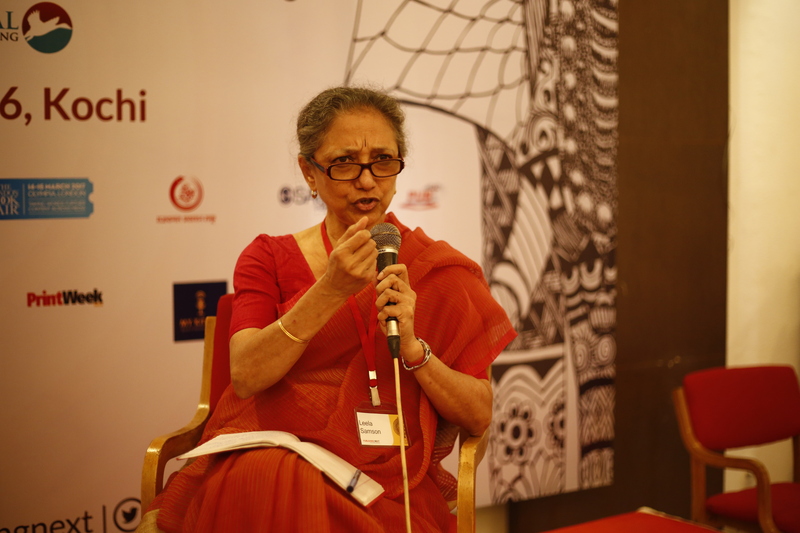 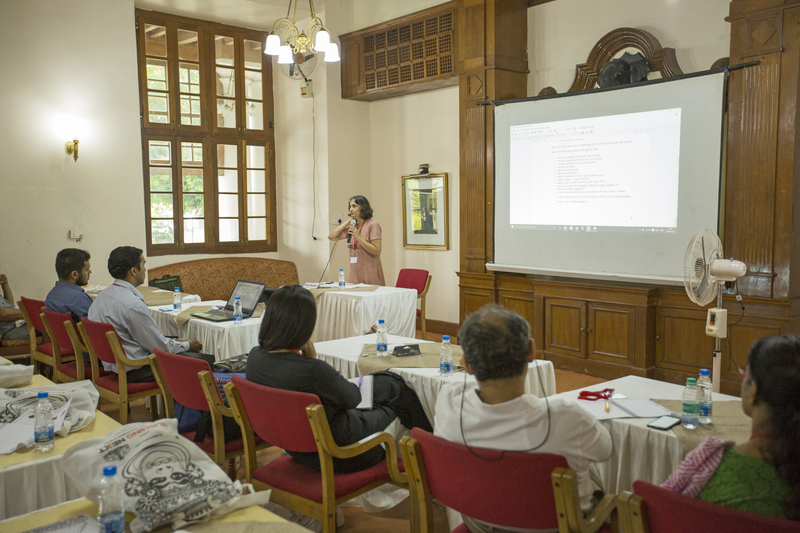 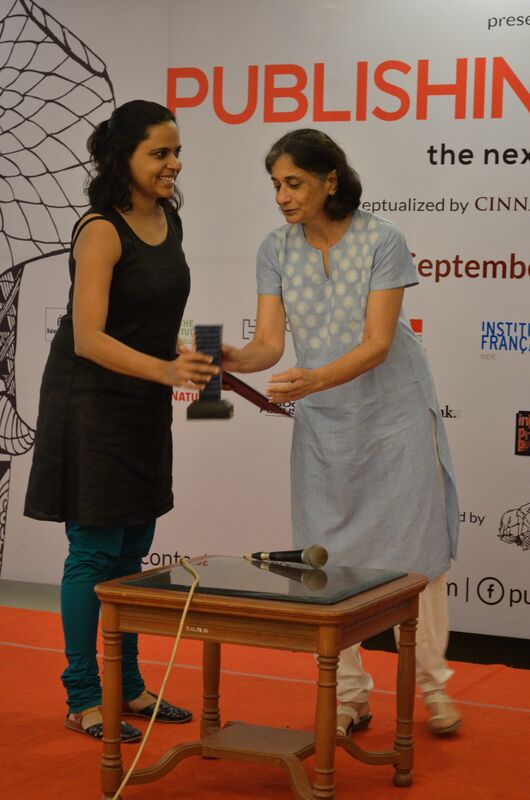 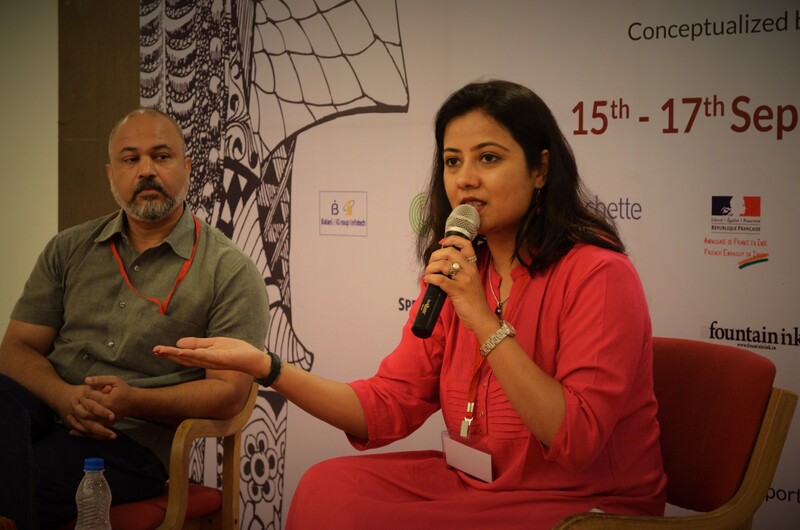 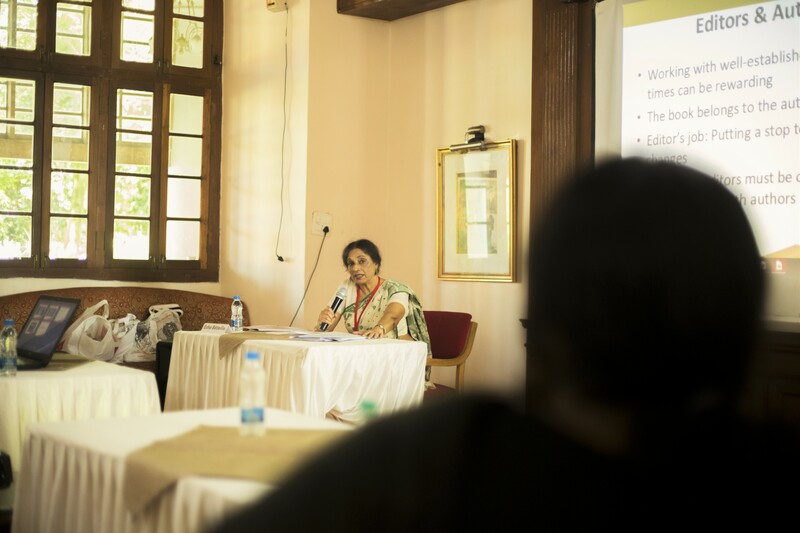 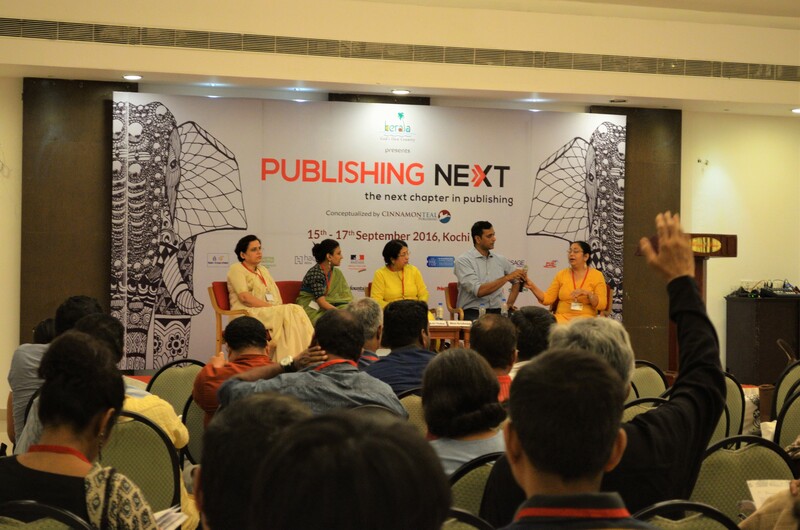 This session was conducted by Jayapriya Vasudevan, a partner at Books@Jacaranda, a Bangalore-based literary agency. 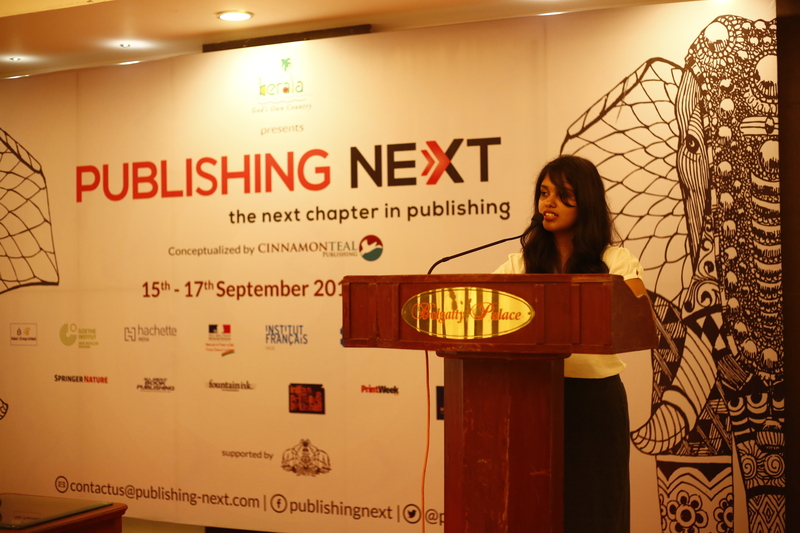 In her presentation, Jayapriya impressed upon the authors the need to write well and pitch appropriately, so that the publishers, who have to choose between thousands of submissions, are interested in the book pitched before them. 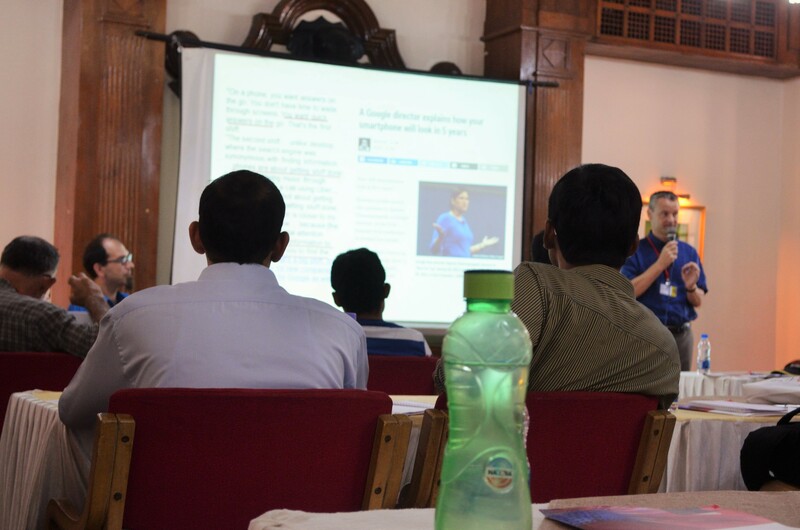 The role of the agent was also discussed. 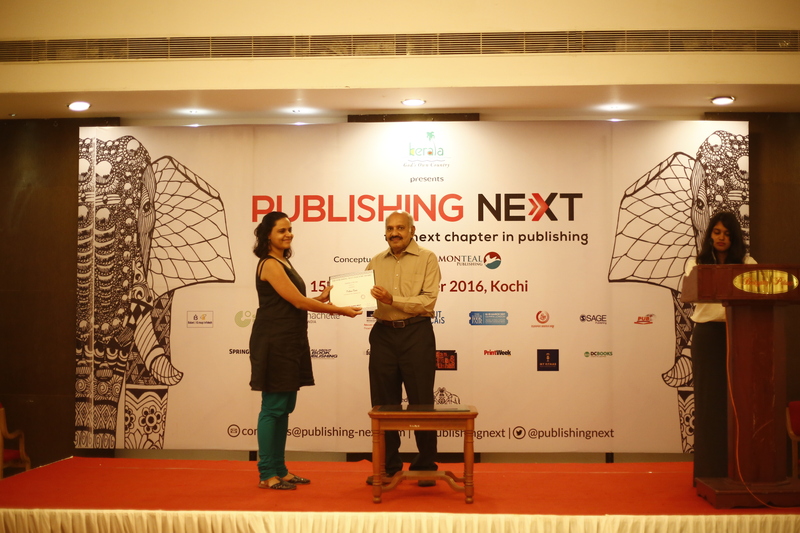 This masterclass, conducted by Esha Beteille, publisher, Social Science Press, catered to the requirements of both authors and publishers. 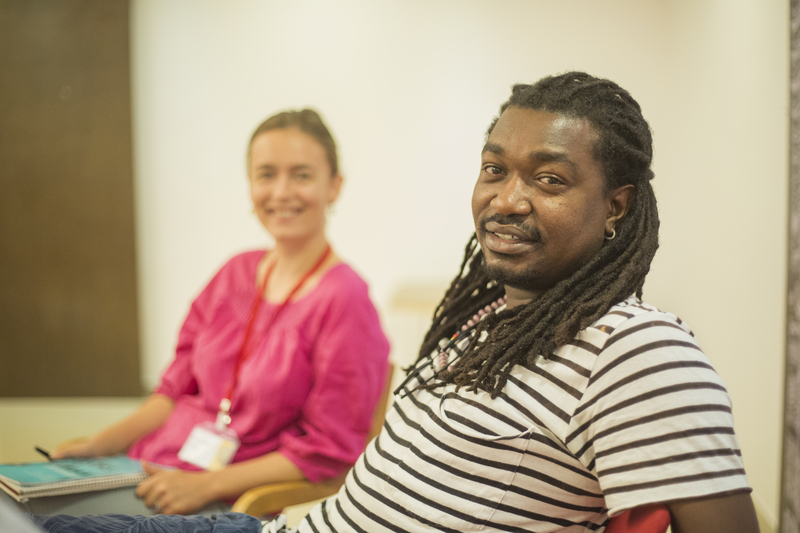 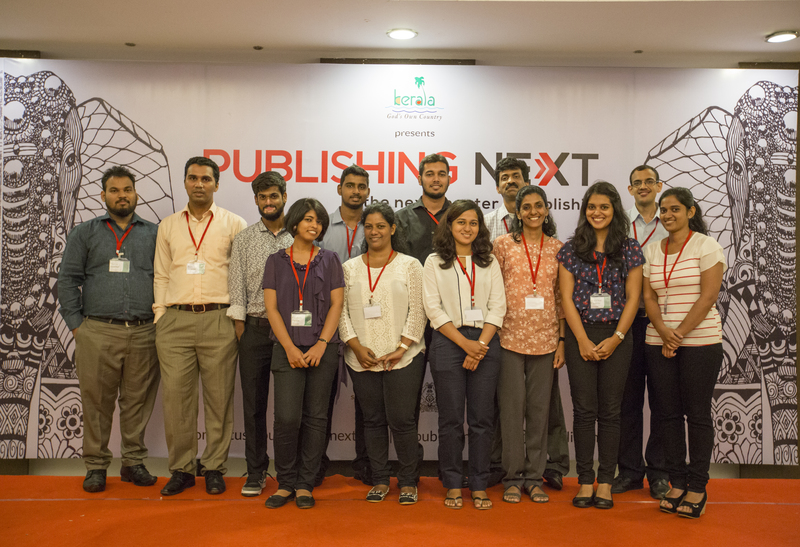 The masterclass addressed the role of the commissioning and copy editor, the importance of retaining the author’s tone and voice, and provided them with examples of how different types of texts ought to be edited. 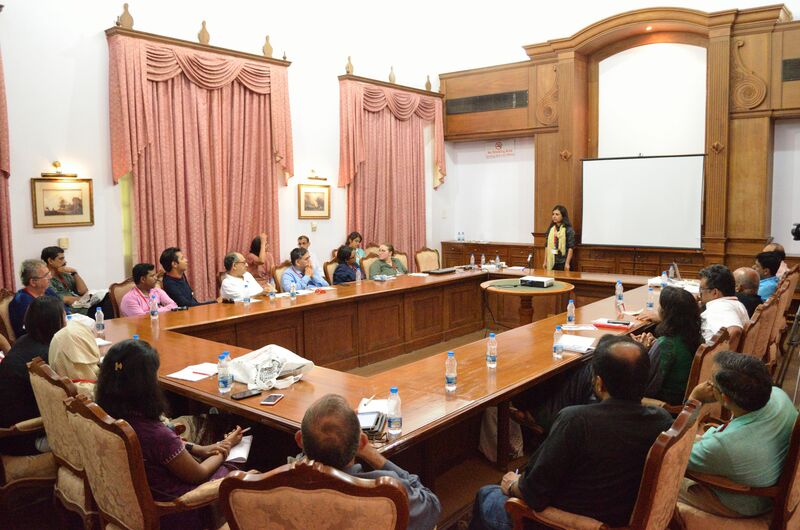 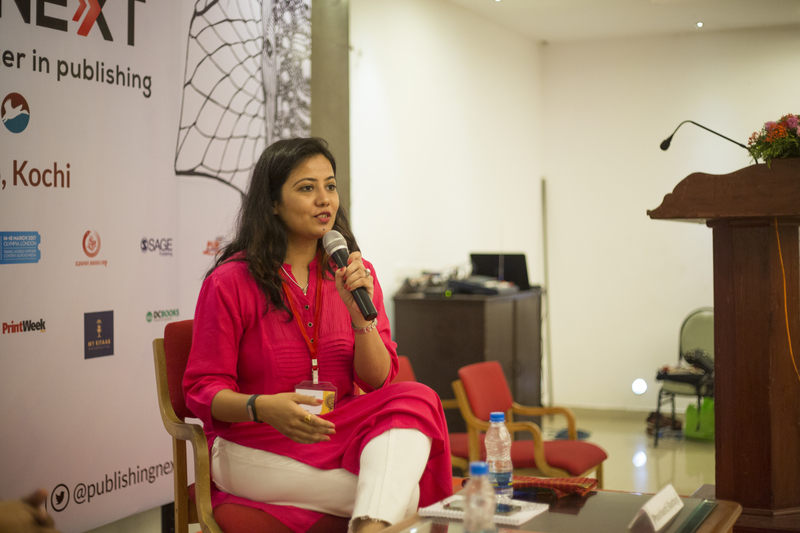 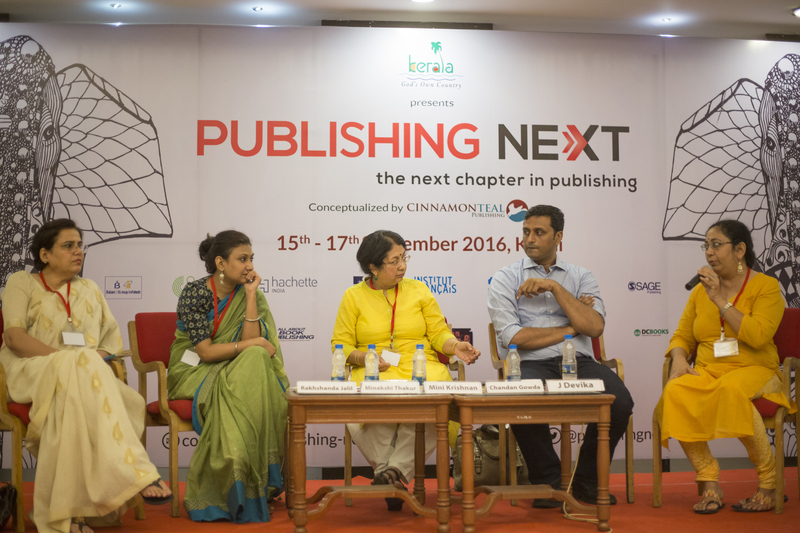 Manasi Subramaniam, Commissioning Editor and Rights Manager at HarperCollins India, conducted this session. 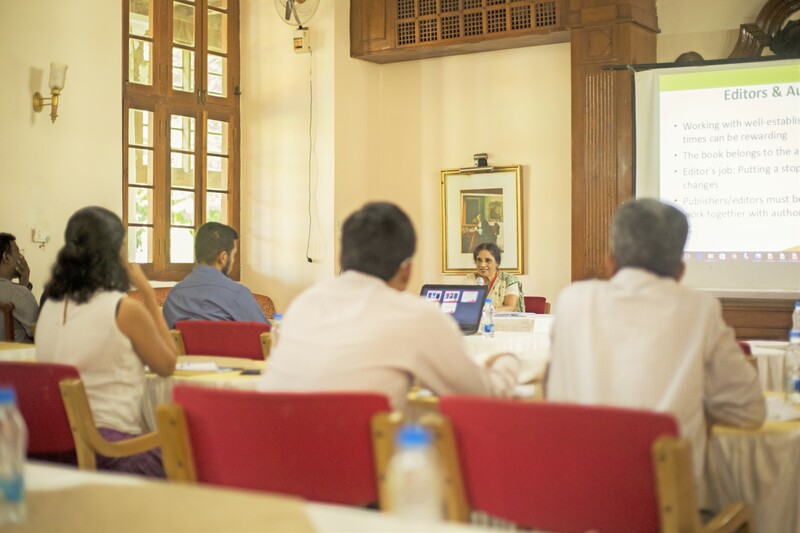 In her presentation, she explained the various types of rights that are sold, underlined the importance of a well-developed catalogue, and the processes and contracts inherent to trading of rights. 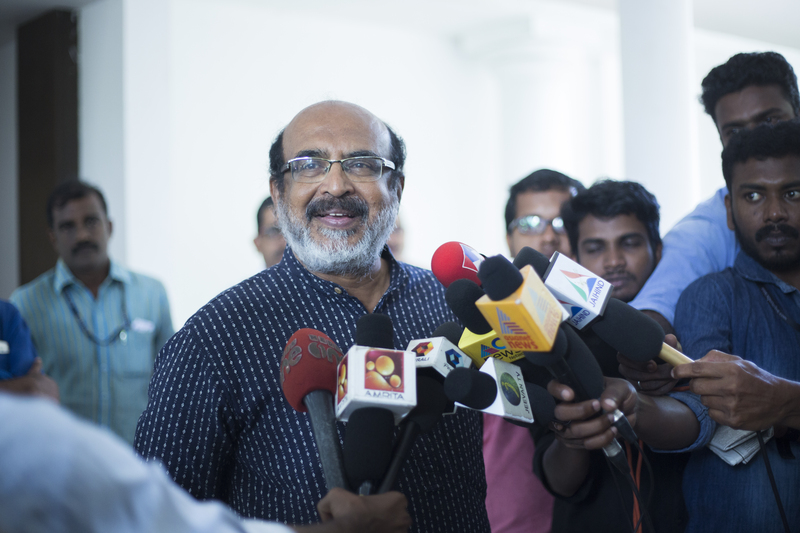 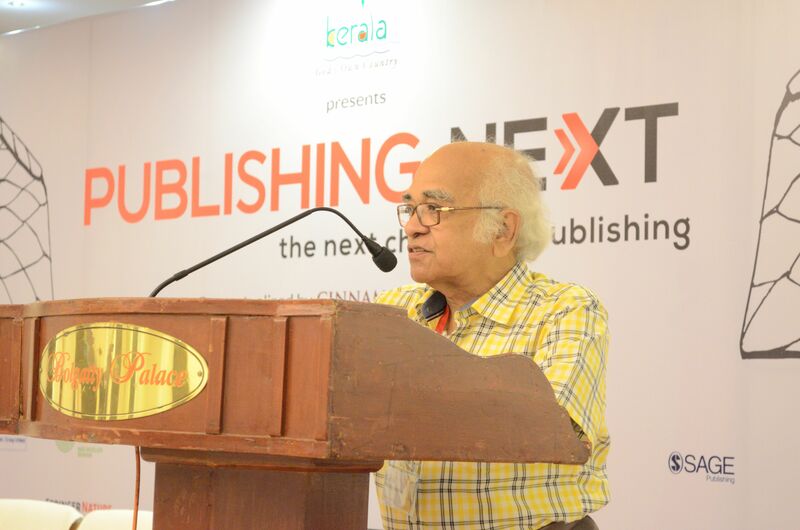 While welcoming those present, the chief guest for the inaugural function, Dr. Thomas Isaac, Minister of Finance, Government of Kerala, lamented the fact that the growth in production of books in India far lagged behind the country’s growth in GDP. 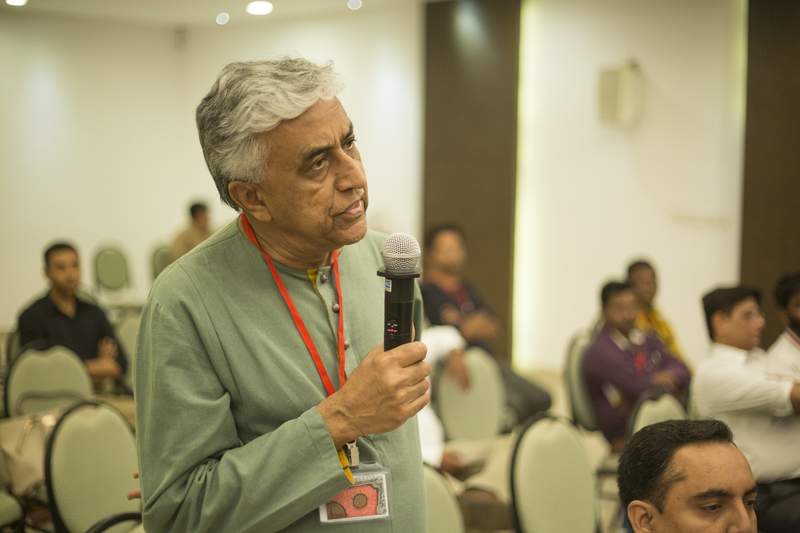 That there was a spurt in production during the last few years was a source of encouragement, he said, although there was much that still needed to be done. 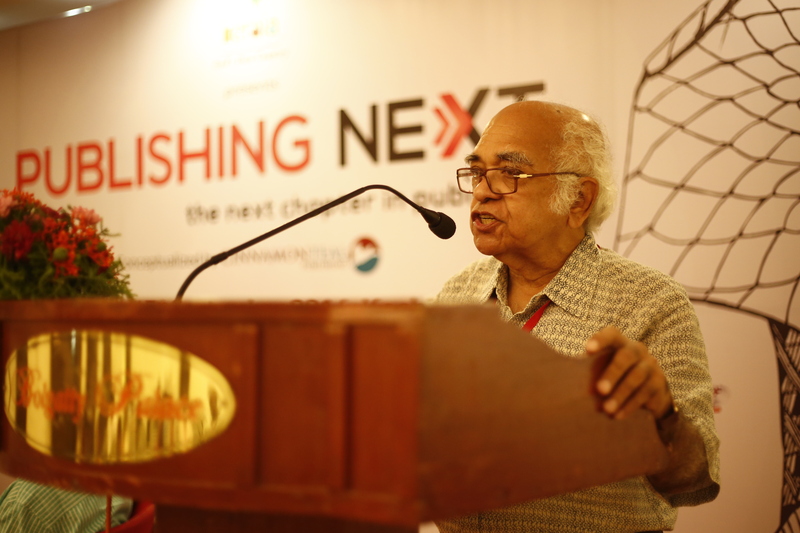 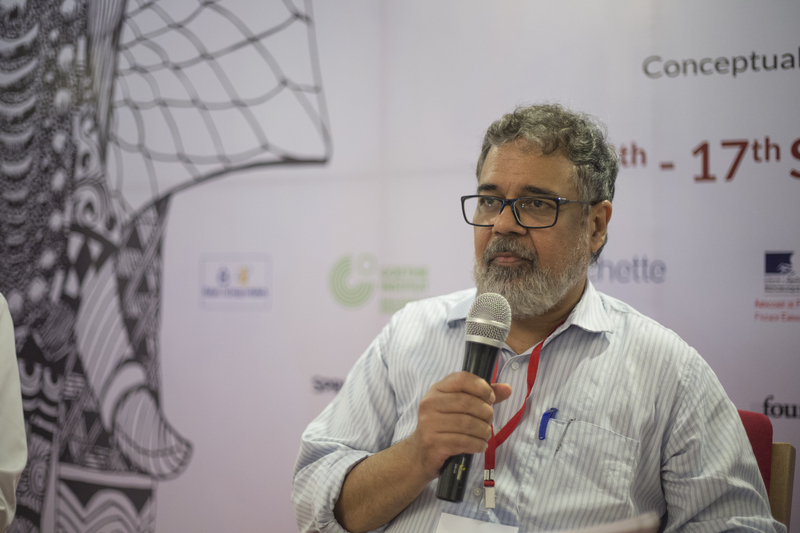 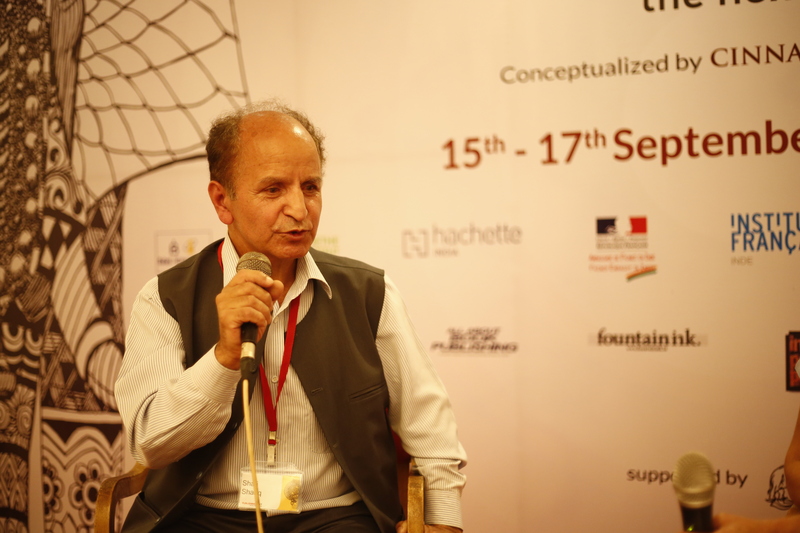 In his keynote address, Scholar, editor-publisher, translator, lexicographer & bibliophile and publisher, Thema, Samik Bandhyopadhyay stated that bookstores had a major role to play in developing a love for reading among neo-literates. 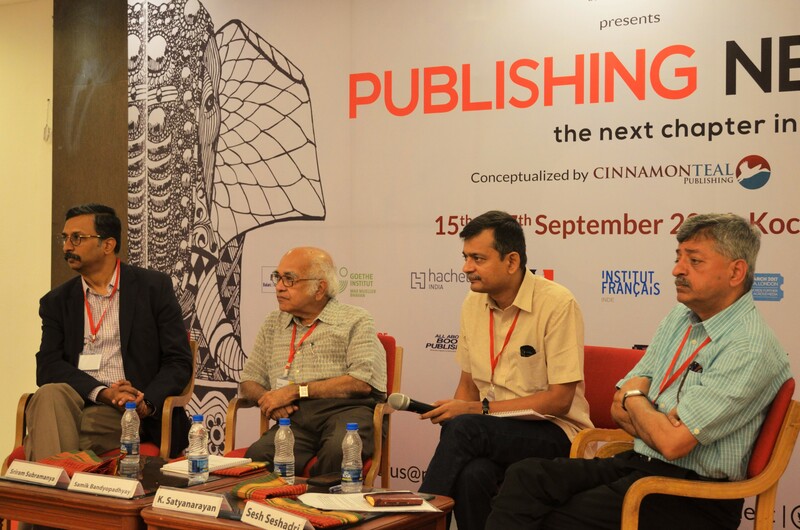 Bookstores, he said, allowed people to touch and feel books, discover titles they probably never had heard of, and develop an attachment with a tangible object. 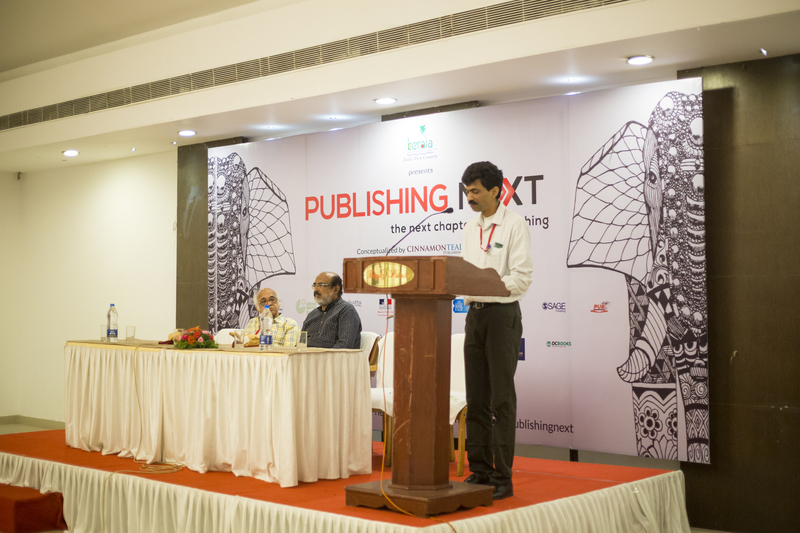 In the first panel discussion of day 2, titled “Translations: Market and Profession,” the speakers underlined the need for publishers to be more proactive about the texts that were being translated. 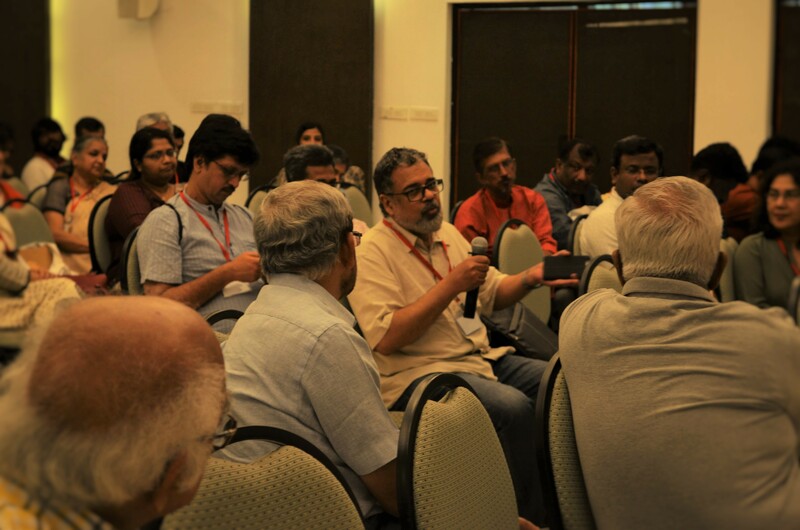 The concern among certain quarters that many translations did not prove good returns on investment was voiced during the discussion. 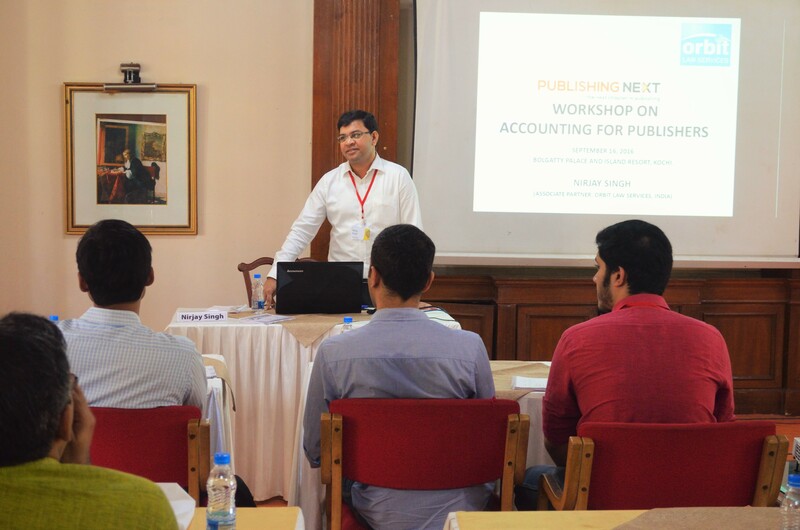 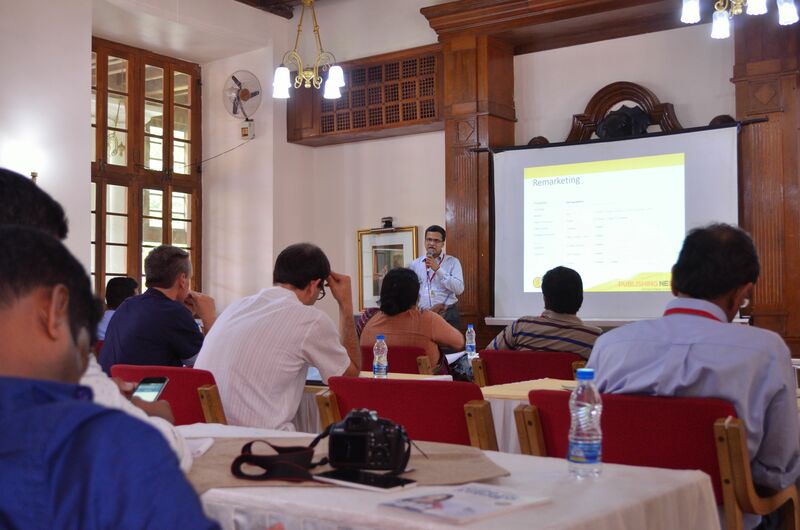 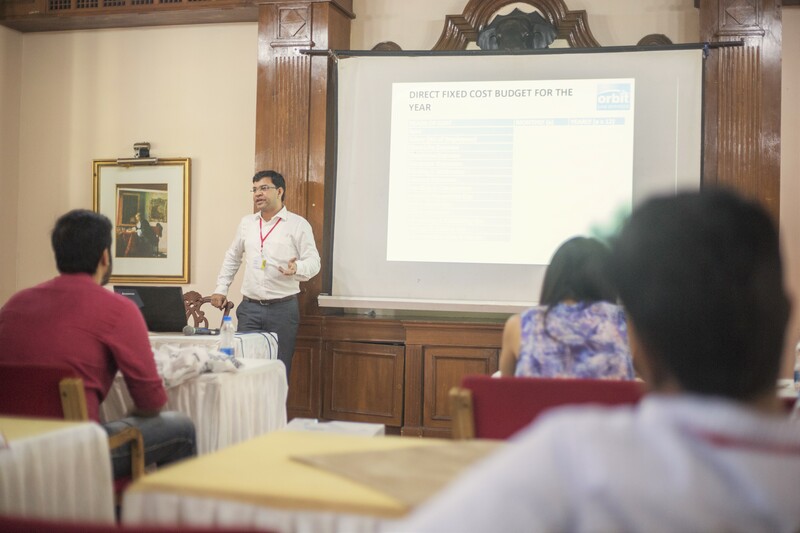 In his presentation on “Accounting for Publishers,” Nirjay Singh, Associate Partner at Orbit Law Services, explained the various aspects of accounting as they applied to the publishing trade. 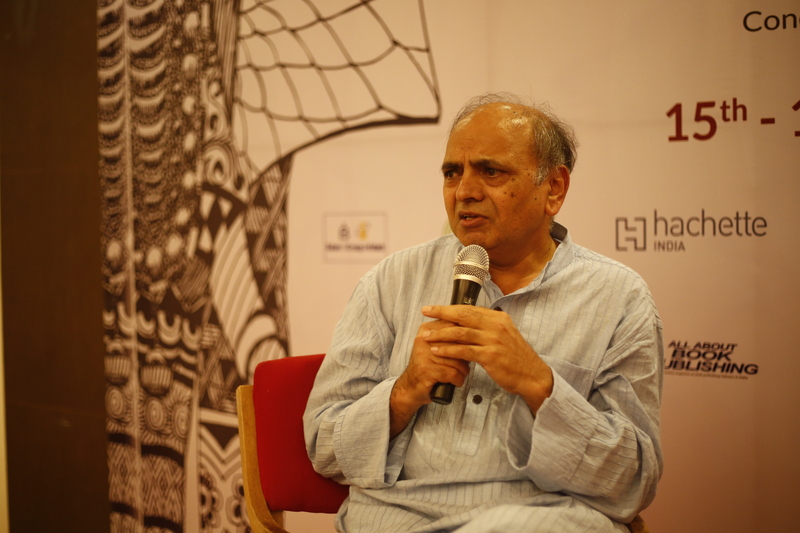 In his conversation with Leela Samson, Dancer, Choreographer, Instructor and Writer, and Vidhya Rao, Singer, Author and Consulting Editor, Orient Blackswan, Ganesh Devy, Chairman of the People’s Linguistic Survey of India, discussed issues related to dance, music and publishing during what was a very enjoyable conversation. 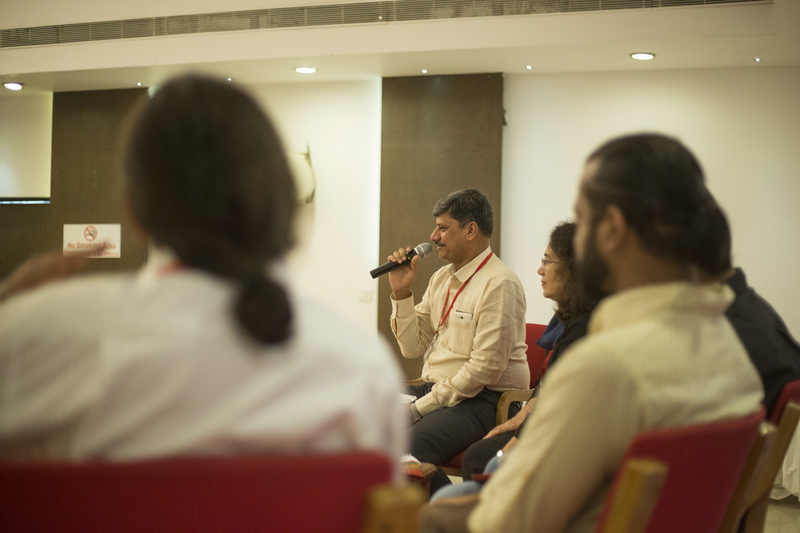 The importance of “being in the moment” was discussed, as was the need to perfect one’s craft, and the need to be true to oneself. 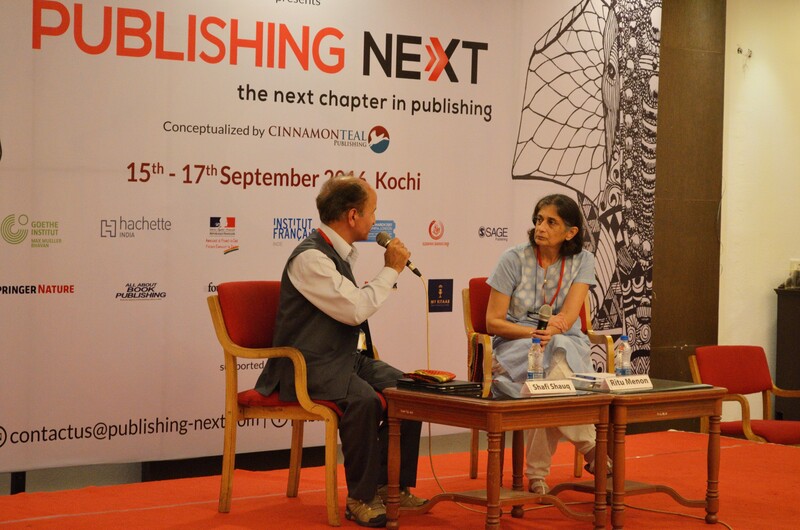 In a freewheeling discussion with Ritu Menon, Publisher, Women Unlimited, the author and poet, Shafi Shauq, spoke about his work, which he described as cathartic, given his experiences as a resident of Kashmir. 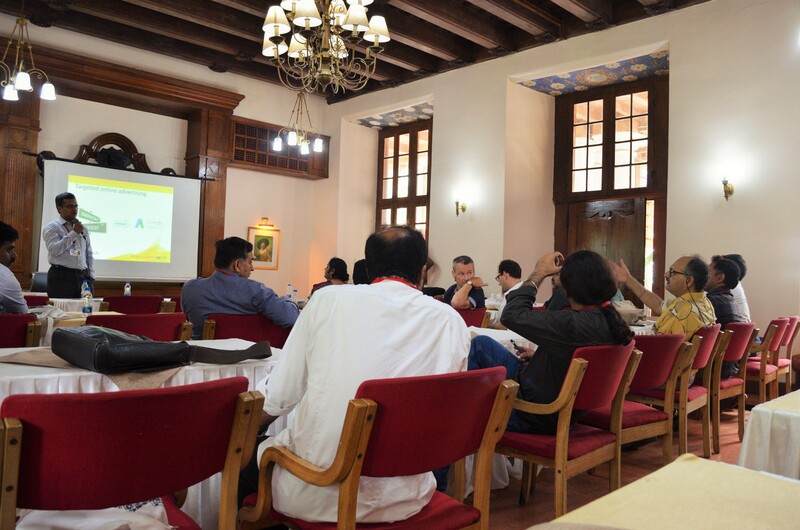 The last session of day 2 involved specially curated networking sessions. 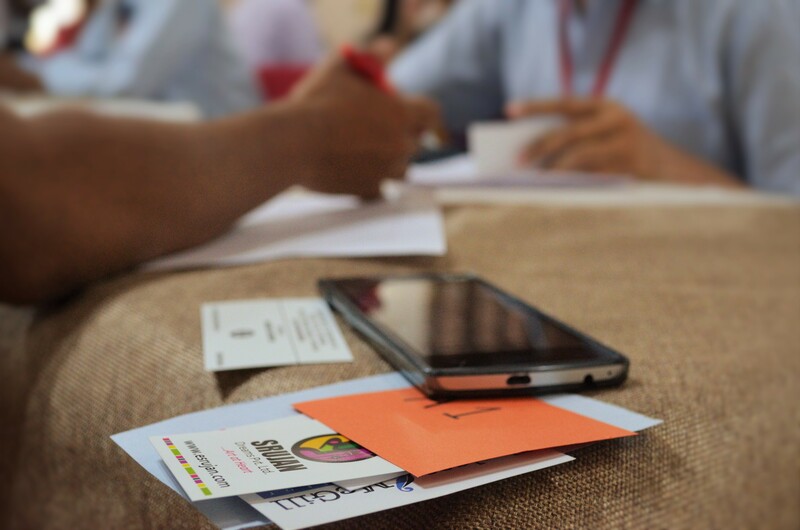 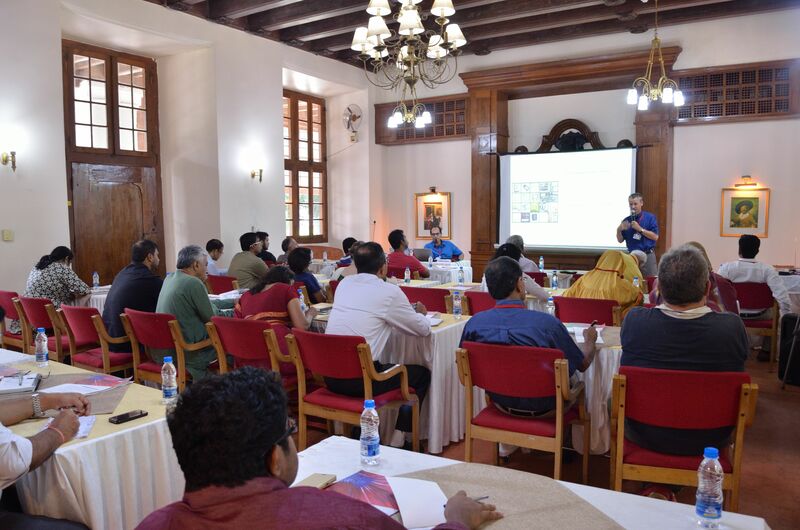 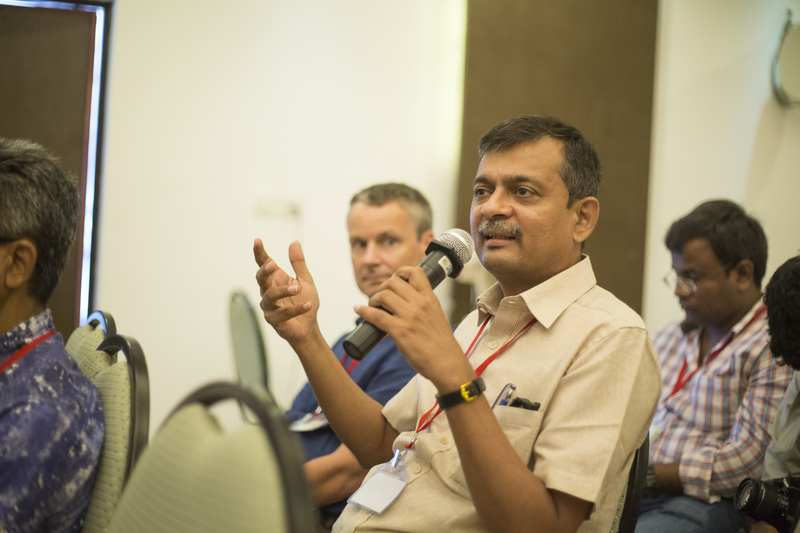 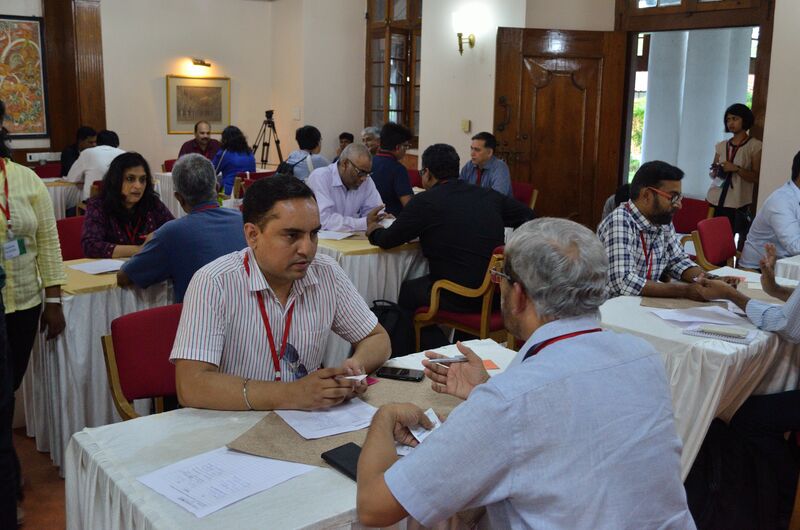 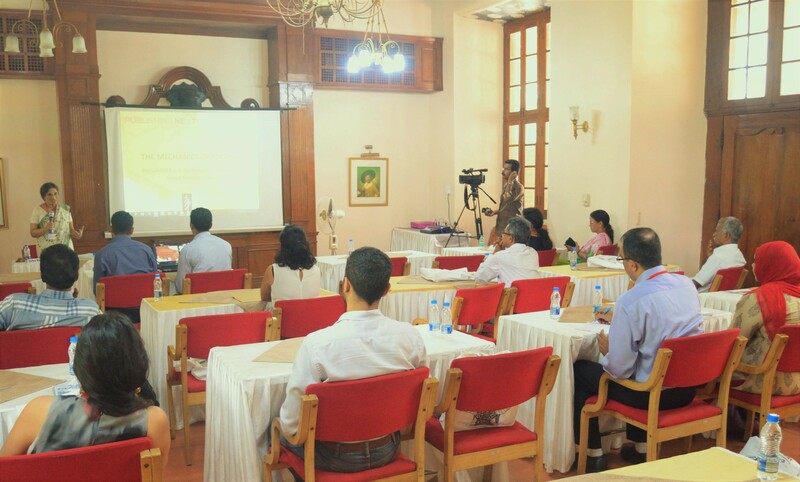 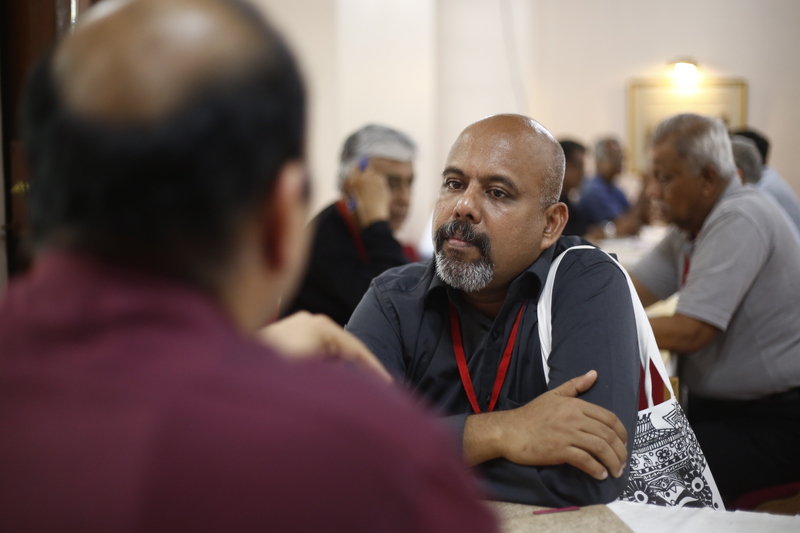 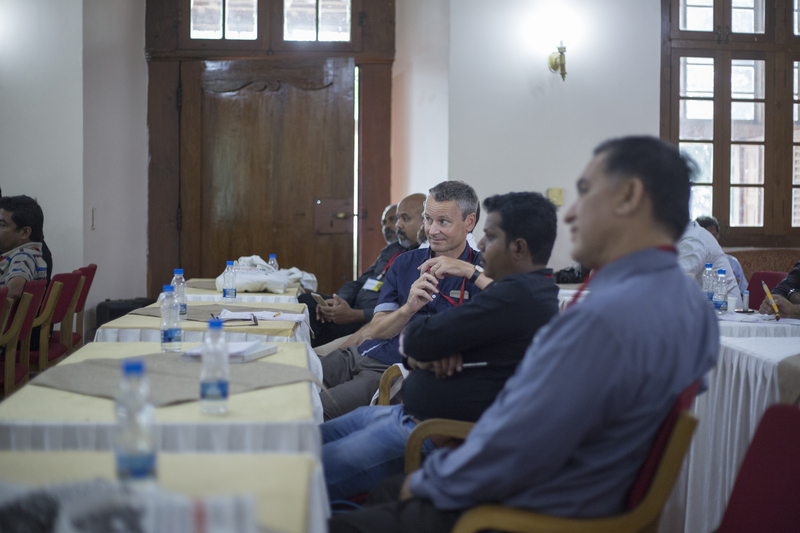 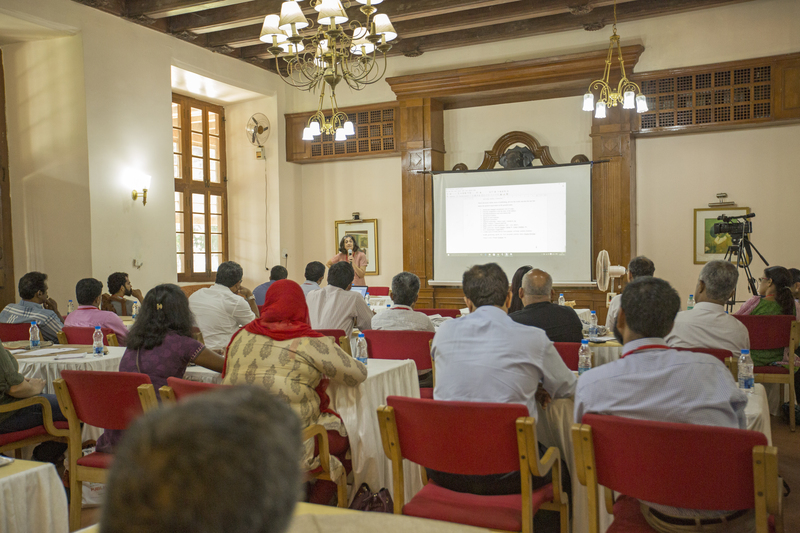 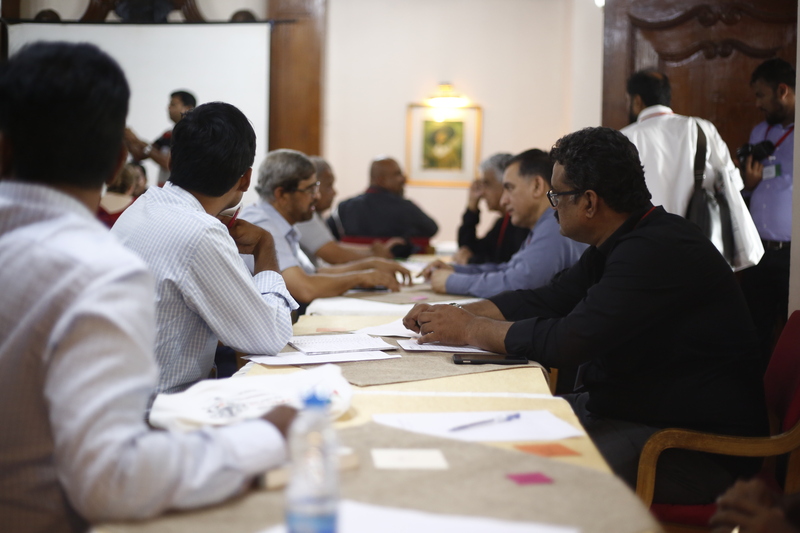 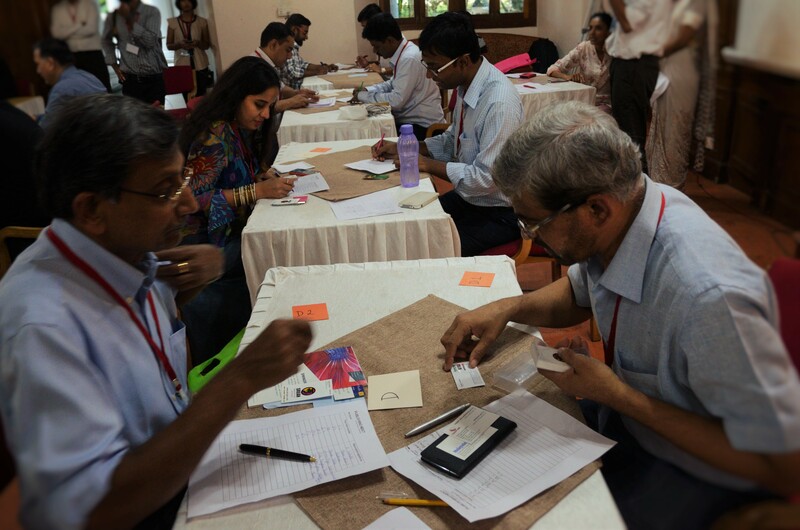 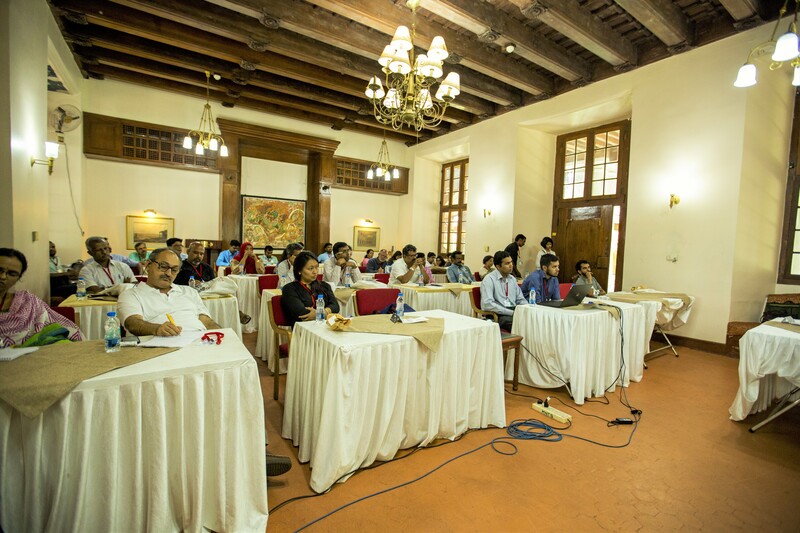 These sessions, conducted for the first time, were attended by 30 participants. 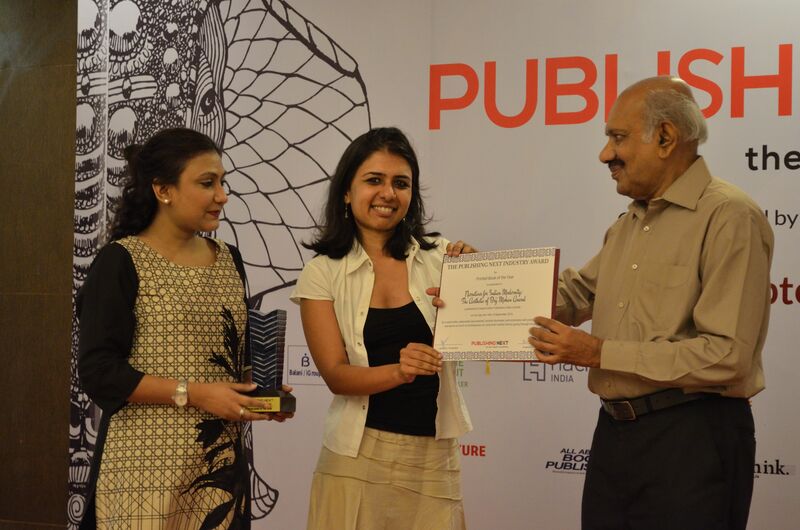 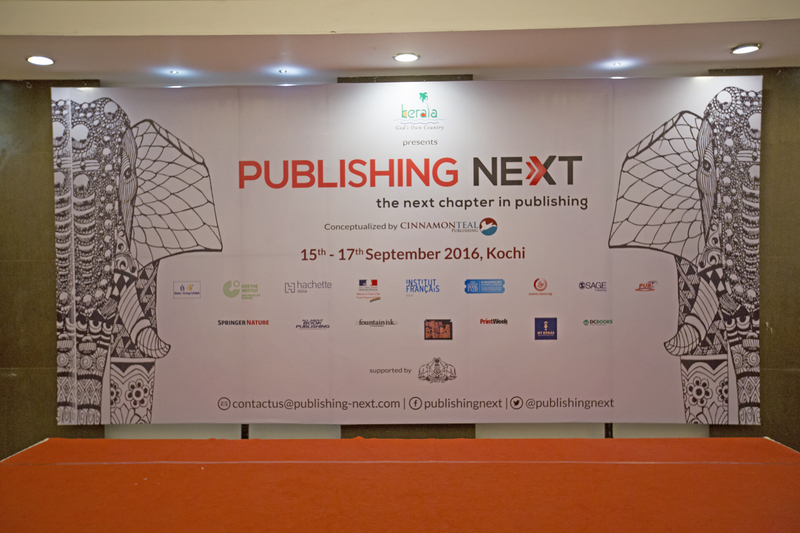 The 2nd day culminated with the presentation of the Publishing Next Industry Awards. 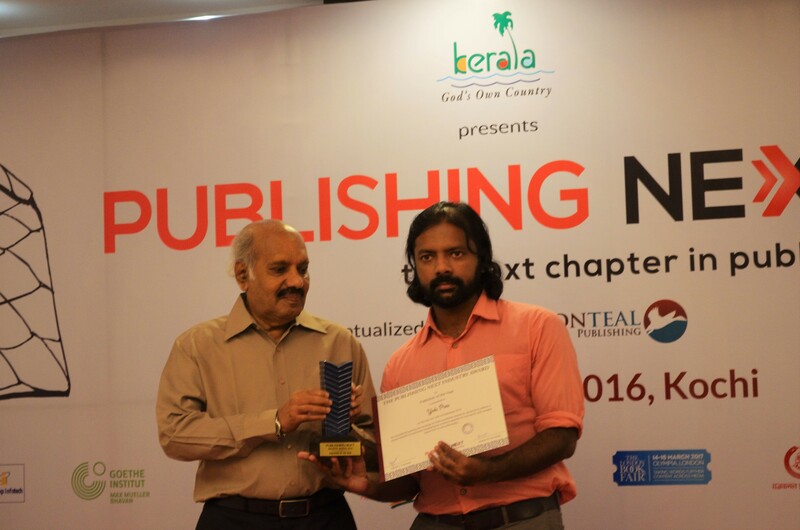 These Awards, instituted in 2014, were presented in 7 categories. 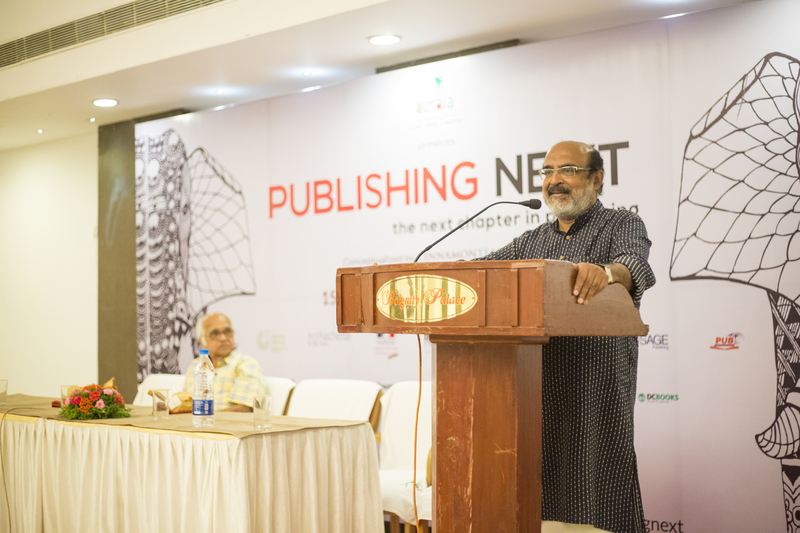 Speaking on the occasion, the Chief Guest, Mr. A. Sethumadhavan, Sahitya Akademi Award winning author and ex-chairman, NBT, India, spoke of the need to encourage reading among everyone in the country. 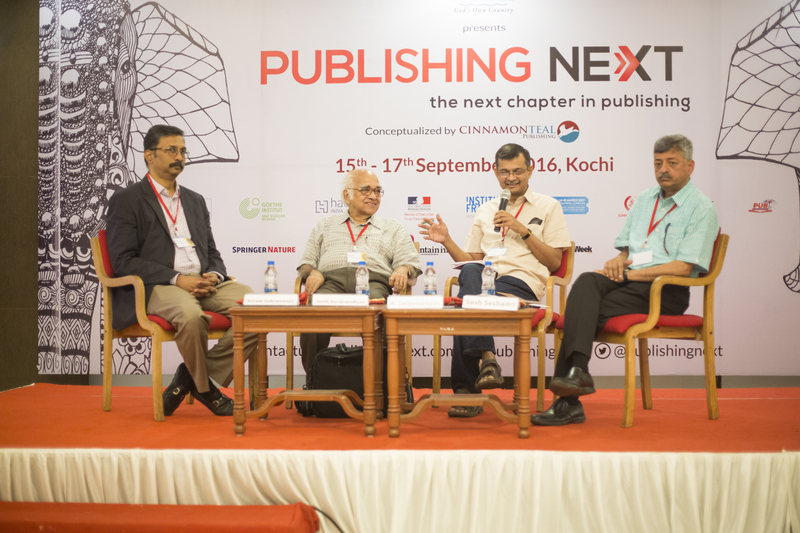 Panel Discussion: Where Must We Invest Next? 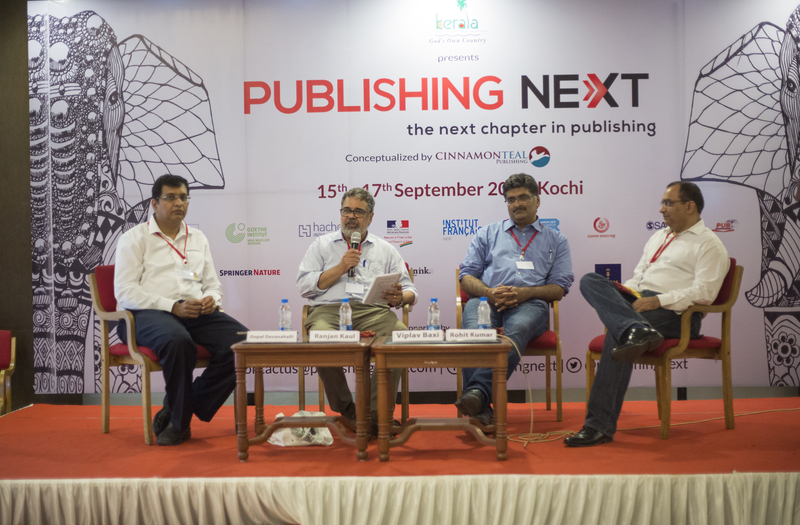 The third day of the conference opened with the session “Where Must We Invest Next?” during which the speakers tried to pinpoint one or two areas of focus that would help publishers grow their businesses. 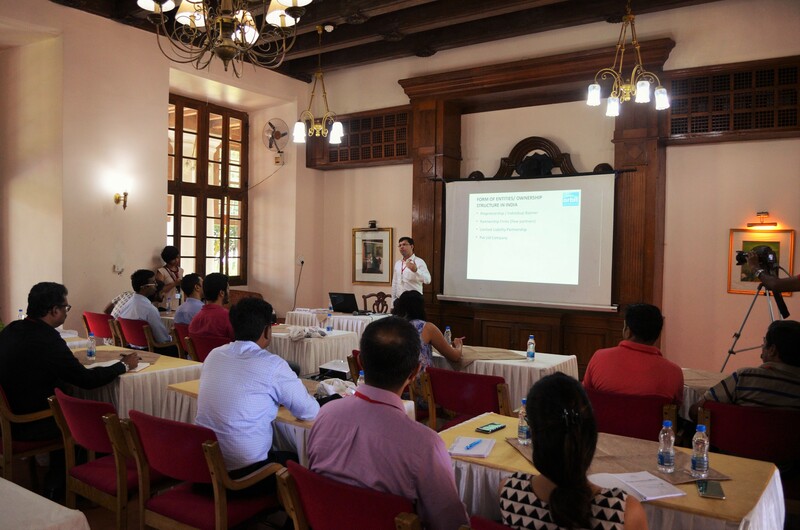 The workshop on Digital Publishing, conducted by Harald Henzler, Founder and Managing Director of smartdigits, Munich, and Fabian Kern, Managing Director, digital publishing competence, Munich, was aimed at professionals wishing to extend their knowledge of how to manage digital products and e-projects. 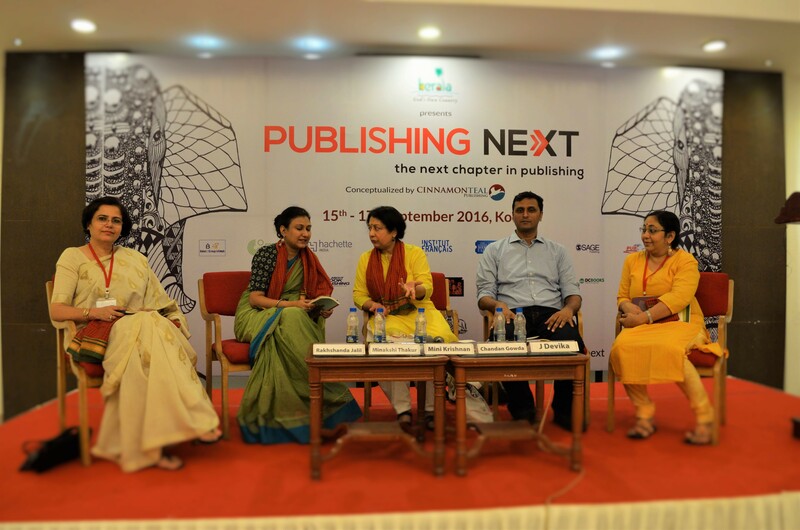 The panel discussion on book retail, titled “Imagining Book Retail & Distribution” chaired by Ankit Pahwa, identified bottlenecks in publishing and thought that online buying habits were probably the single major factor responsible for unravelling physical book sales. 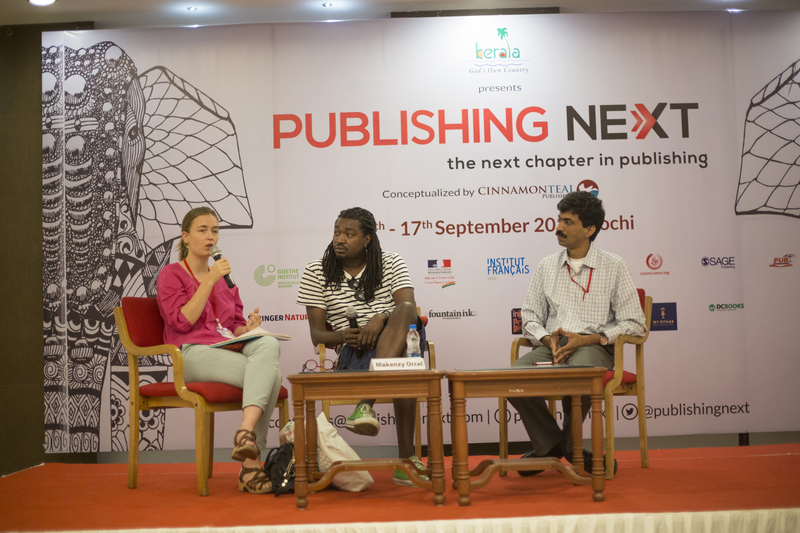 Author Makenzy Orcel spoke at length on the role of the author in society. 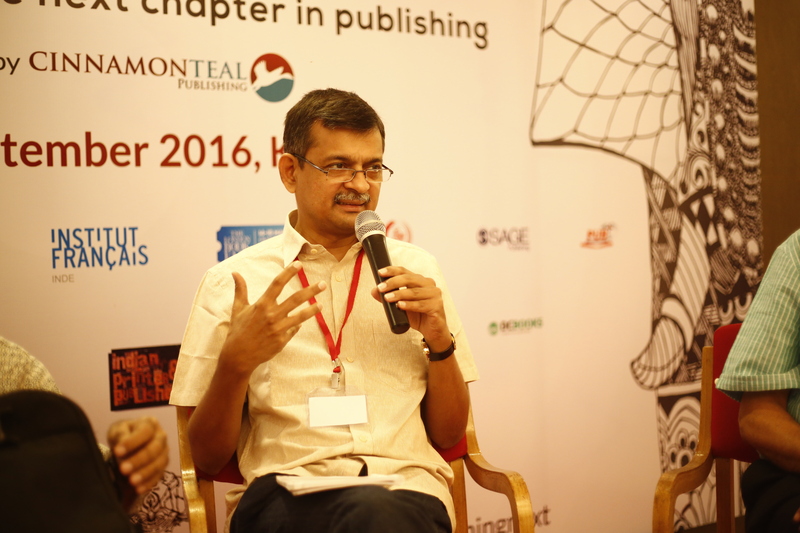 He said that he did not feel it was his duty to assume the role of an activist and bring out change in society, rather to tell stories and let his readers interpret them the way they want. 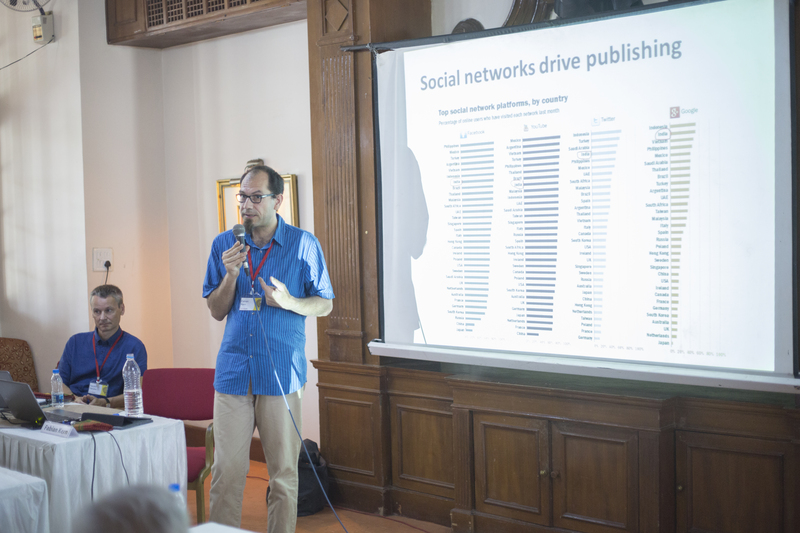 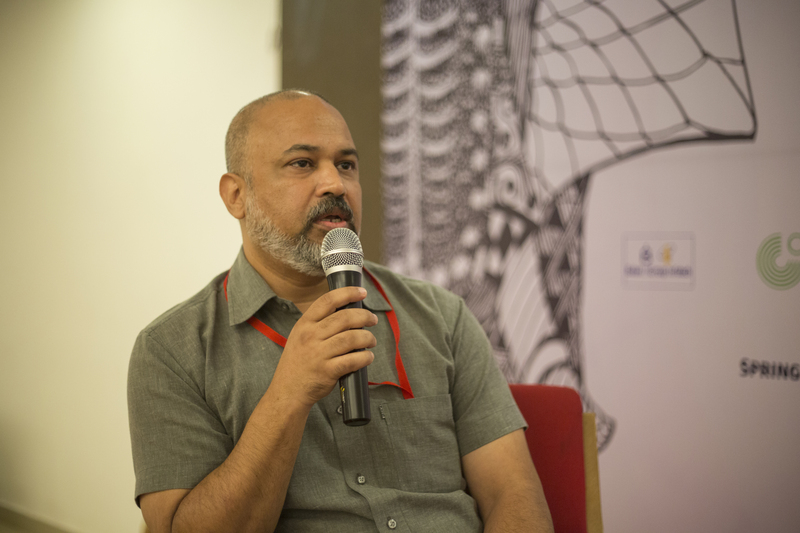 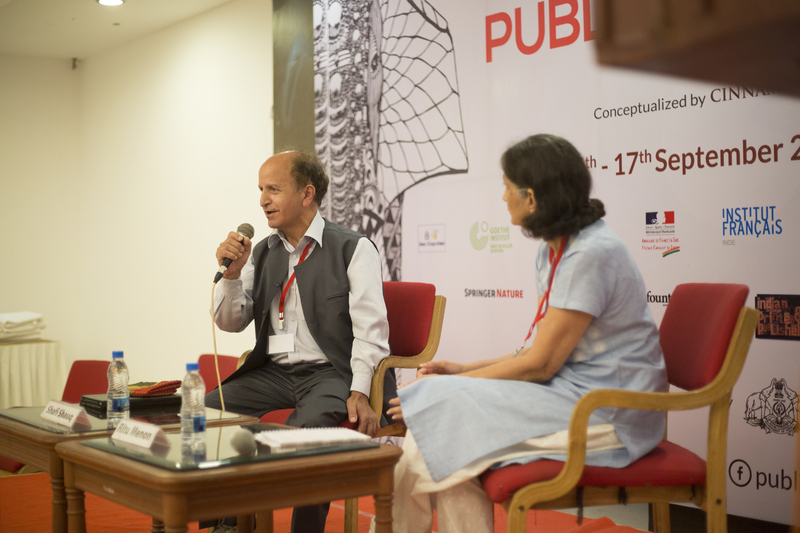 In his conversation with Prashasti Rastogi, Director, German Book Office, New Delhi, Ravi Singh, Publishing Director, Speaking Tiger, spoke of his belief that far from being in a crisis, the Indian publishing industry was flourishing with equal space afforded for both Indian language and English books. 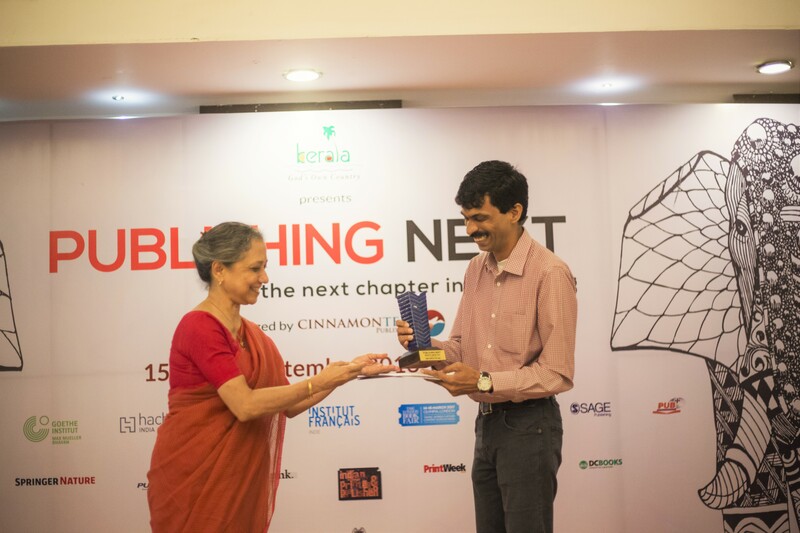 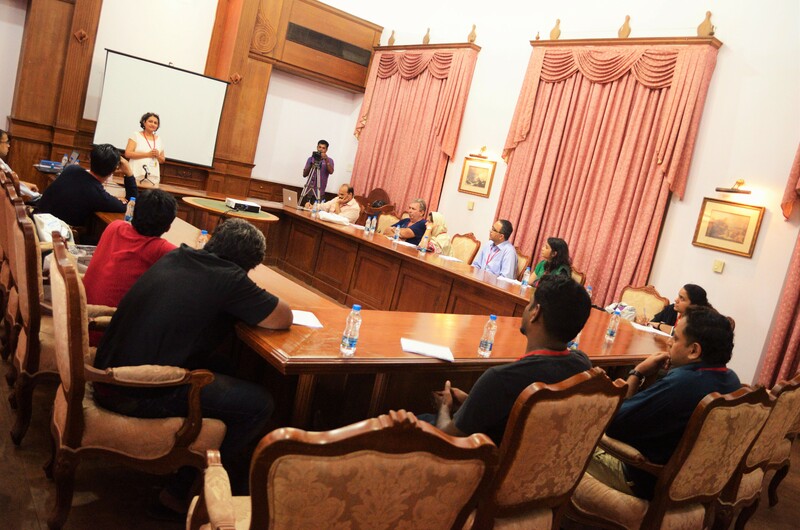 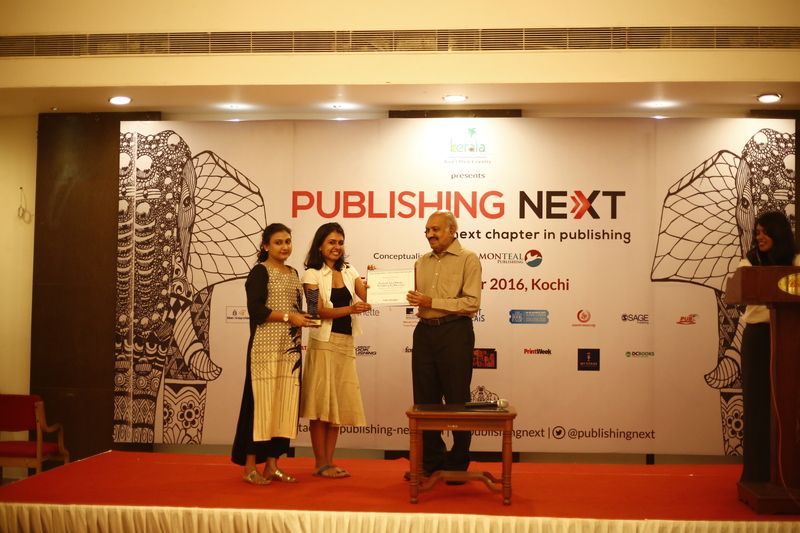 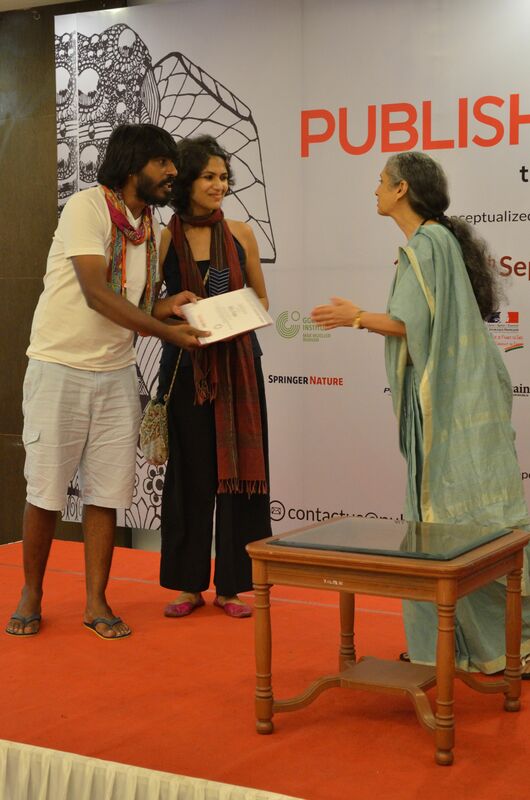 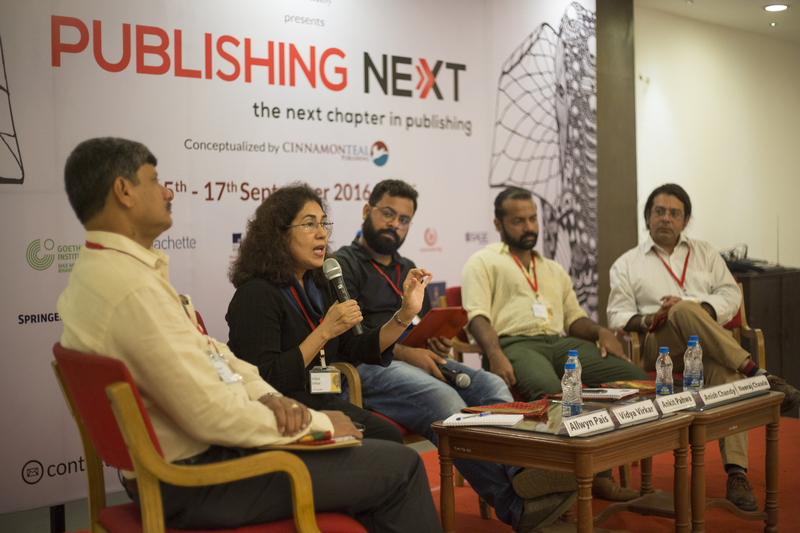 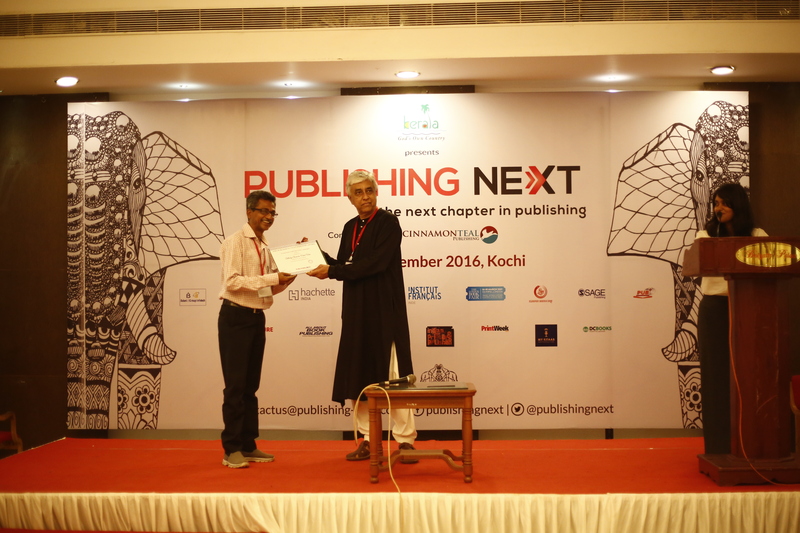 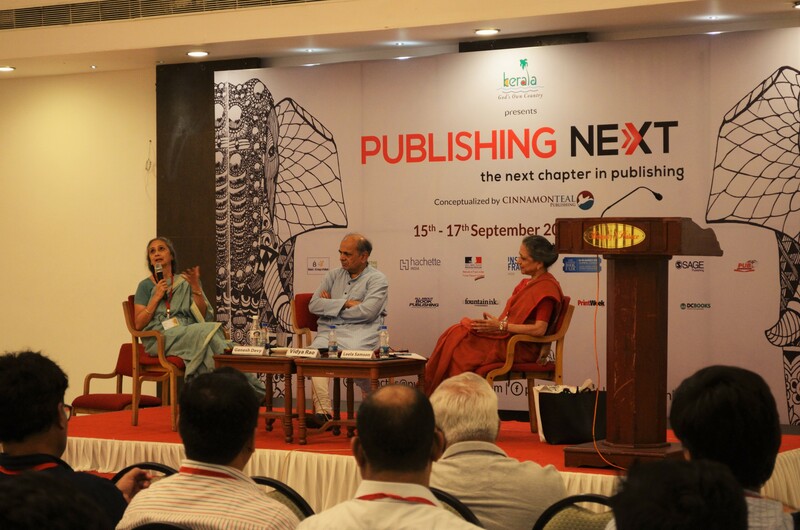 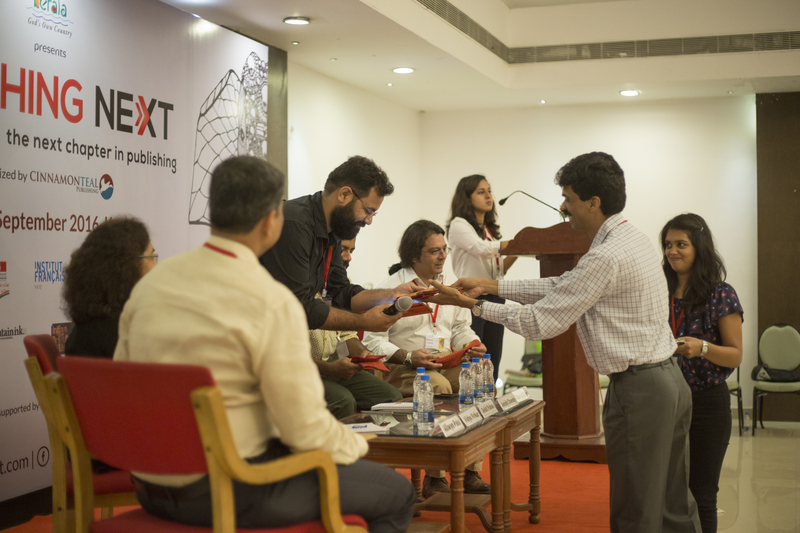 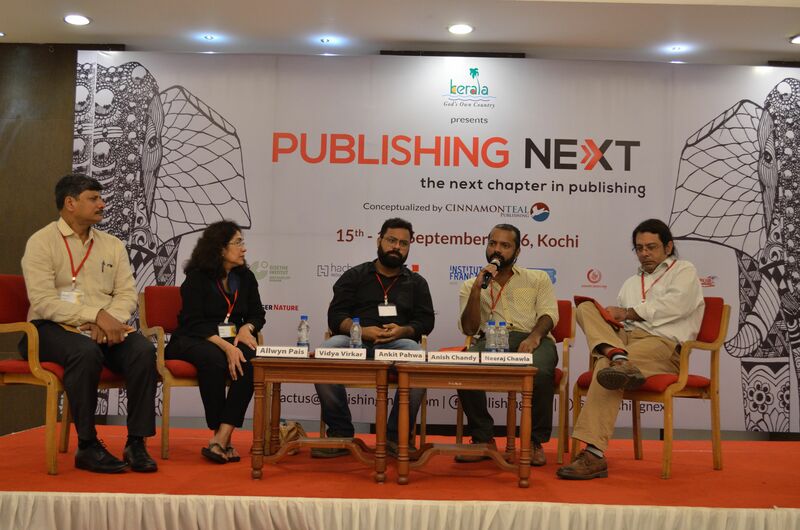 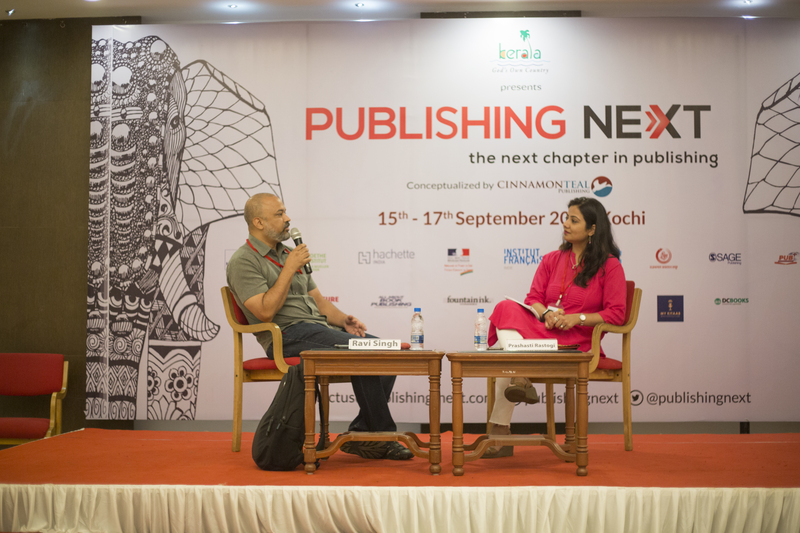 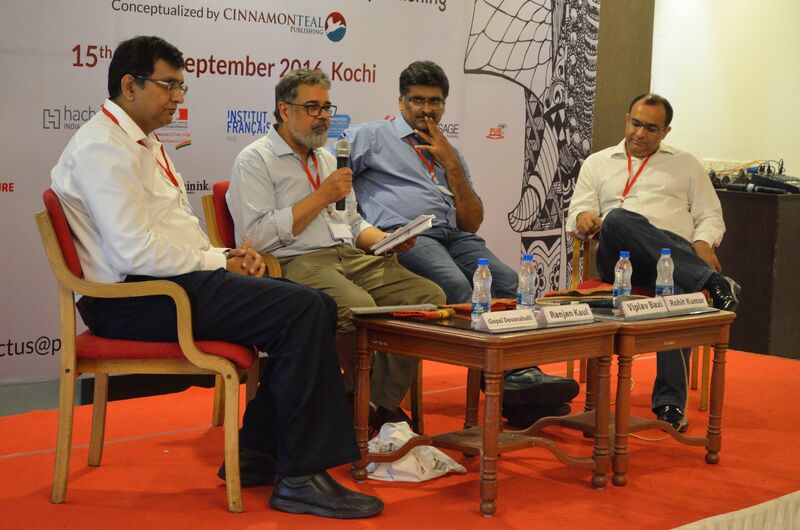 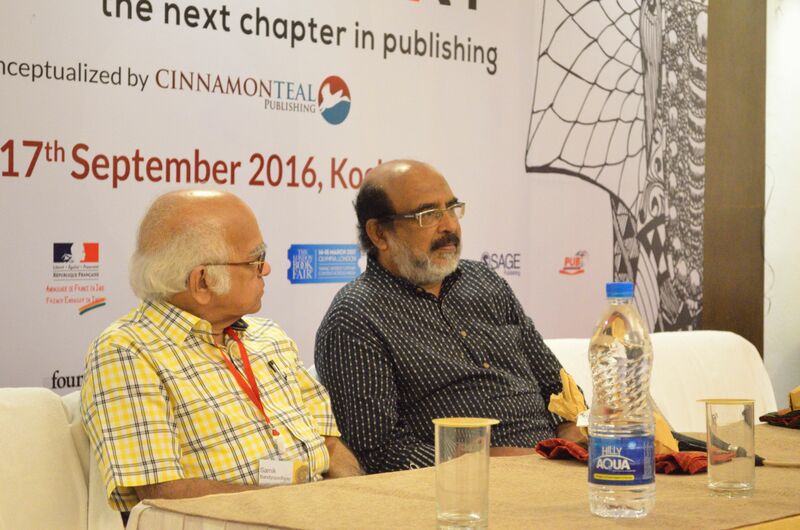 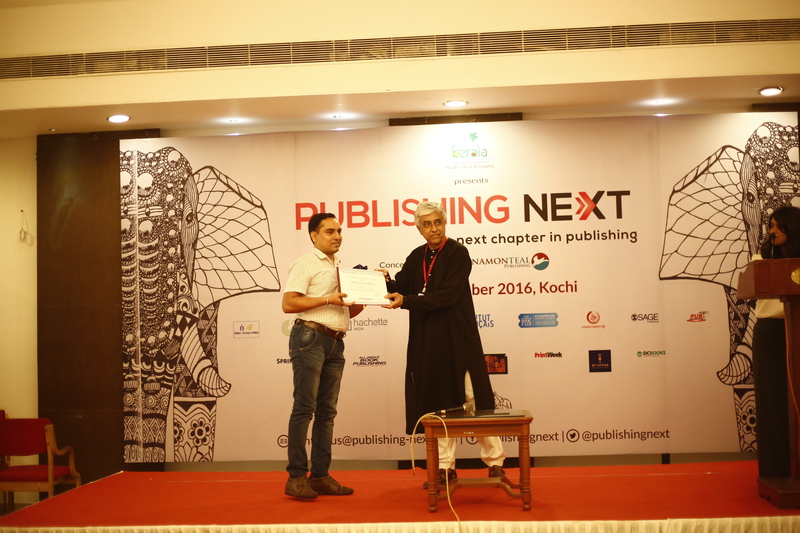 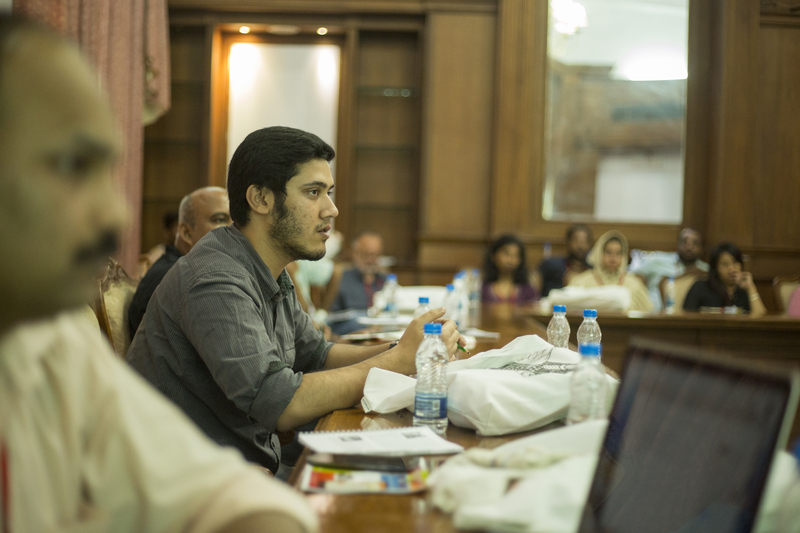 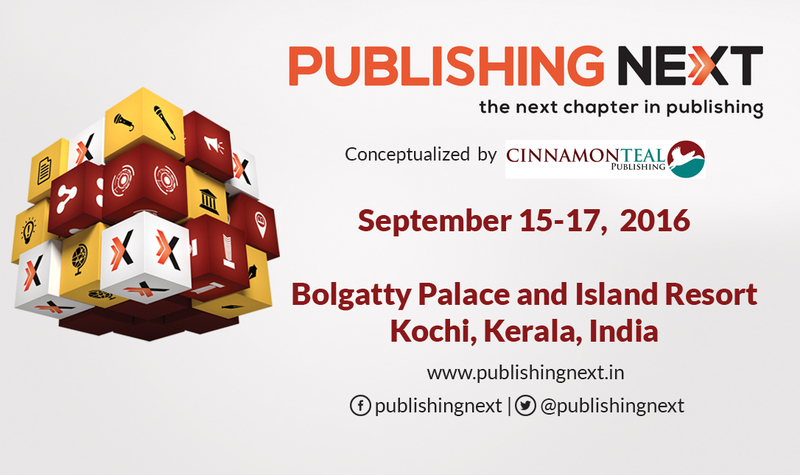 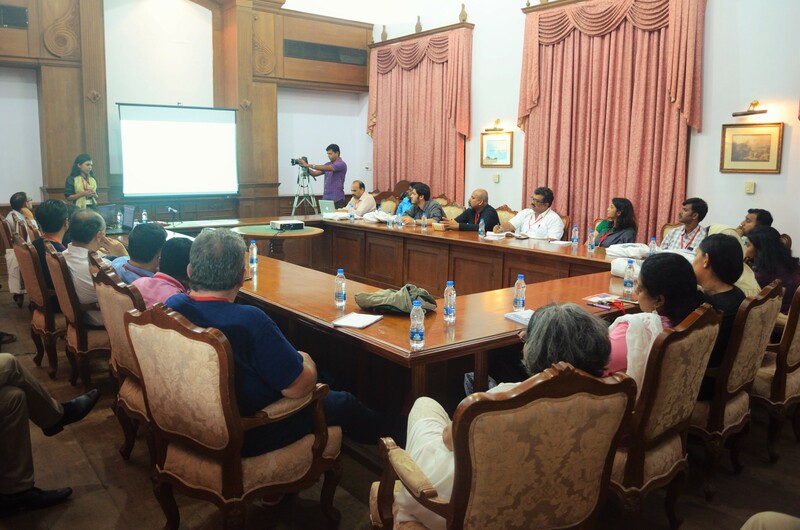 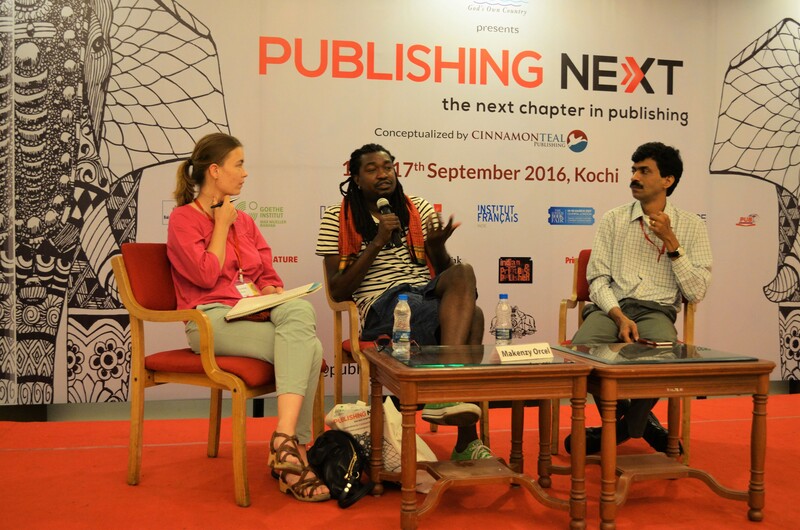 Publishing Next is organized by the Margao (Goa)-based CinnamonTeal Publishing, aided by an advisory body.